Hey there We R friends! Thanks for stopping by today. 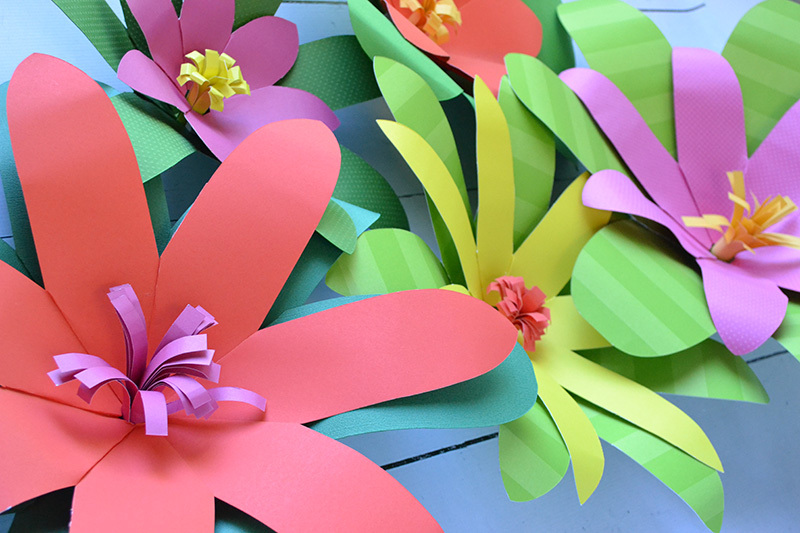 Since this week is Kids Crafts Week, we wanted to share some of the most popular past kids crafts from our blog. We figure the more ideas you’re armed with over summer vacation, the better…right? 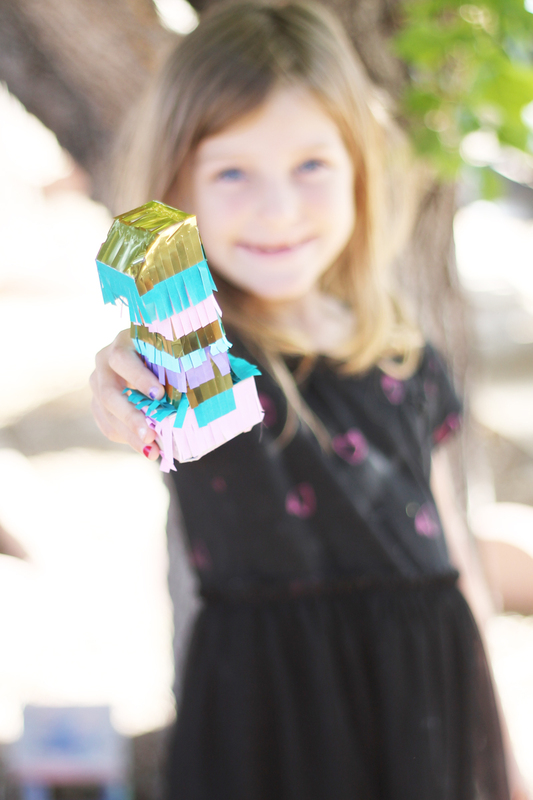 So here are Five Fun Kids Crafts! 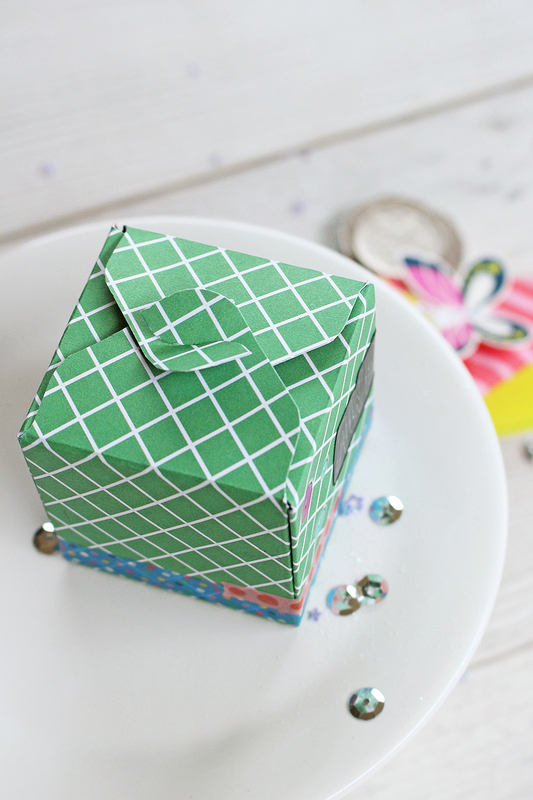 Use your paper craft supplies to make your own board game to keep the kiddos busy this summer. 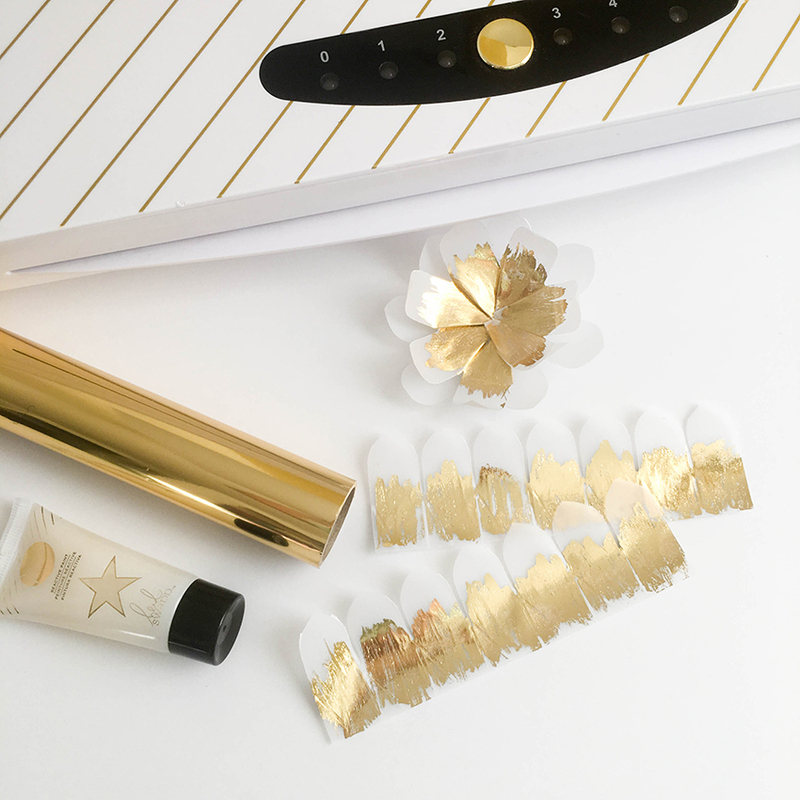 Stickers, ephemera bits, and die cuts are perfect as decorations, markers, or other game elements. You can even use the Power Punch or Crop-A-Dile to make your own spinner! CLICK HERE to learn how to make your own. 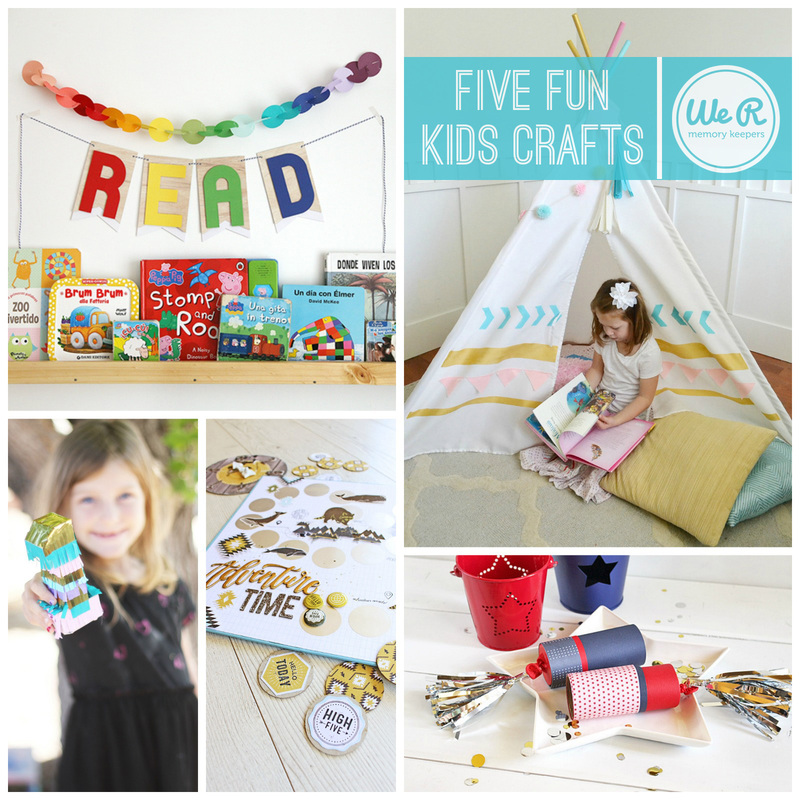 Get your little ones excited about summer reading with their own reading center. Use your favorite We R tools to customize their quiet area so it’s their own special space. 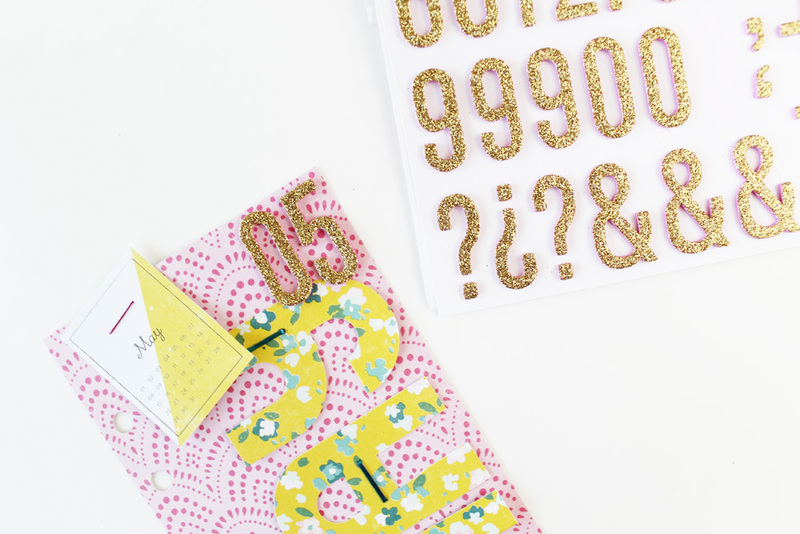 Between the Banner Punch Board, the Alphabet Punch Board, and the Garland Punch, we’ve got you covered! More photos and details on the blog HERE. 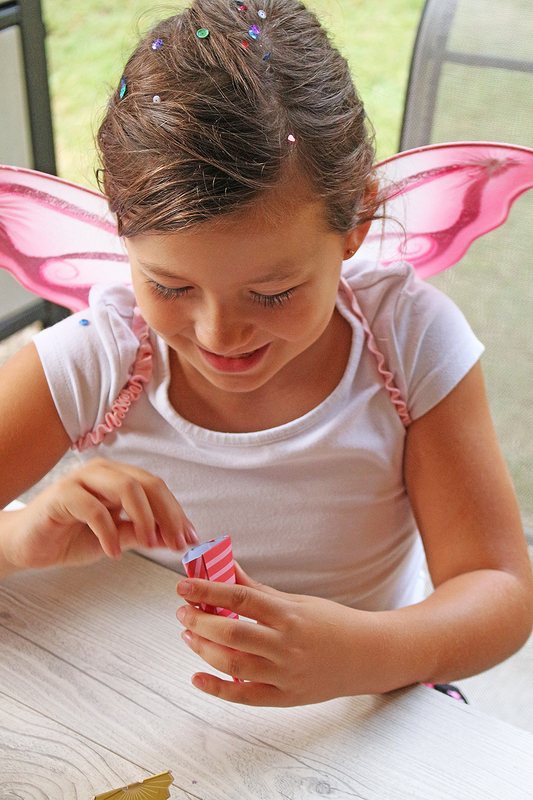 Your patriotic summer celebrations will be extra fun with these easy DIY Confetti Poppers. 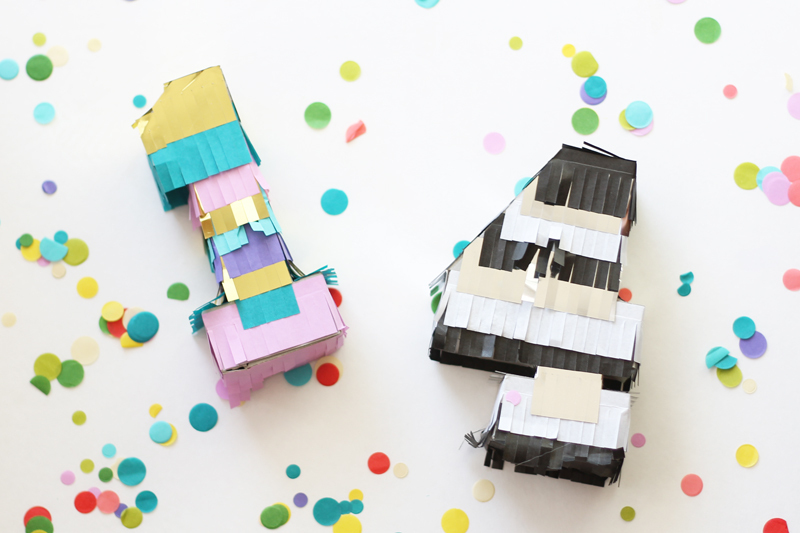 Grab an empty toilet paper tube, a balloon, some patriotic paper, and some of our DIY Party supplies–Mini Piñata Pull Tabs and Confetti–and you’re good to go. 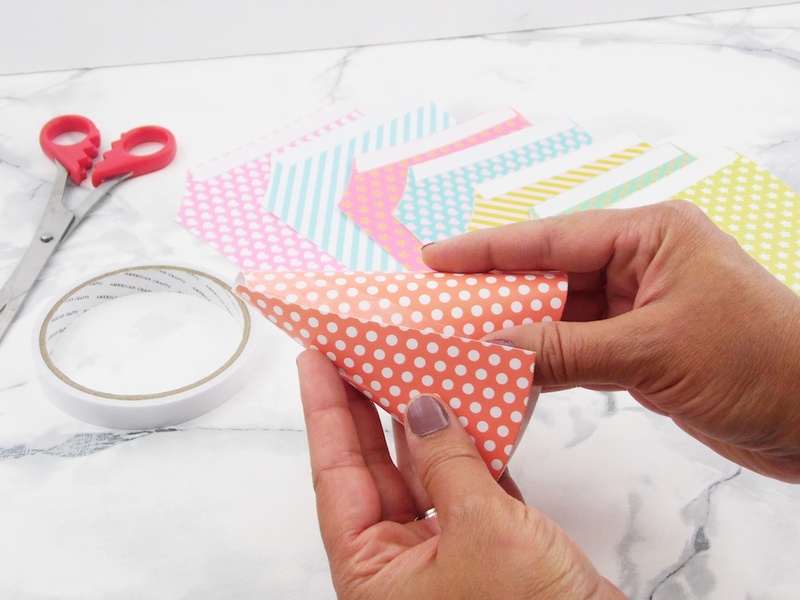 Find a step-by-step tutorial on our blog HERE. 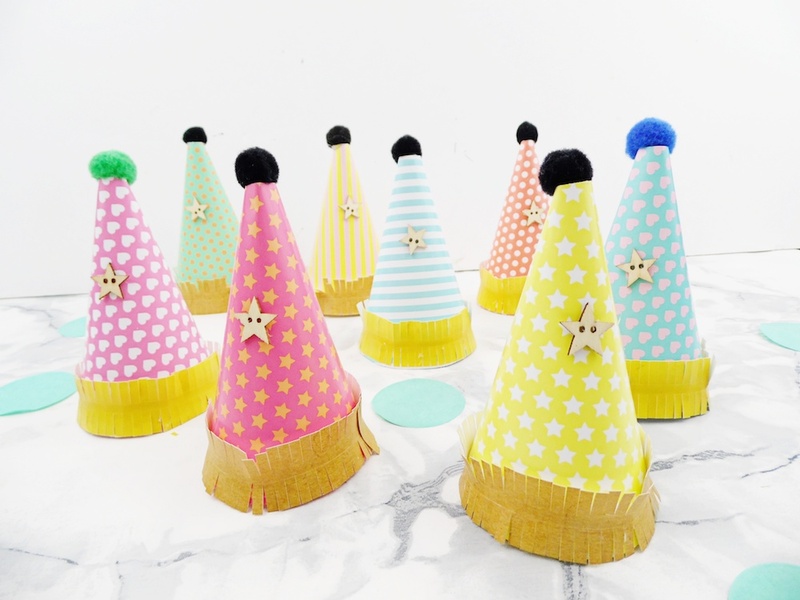 Make the last day of school a special one with individual mini piñatas that mark the next grade for your kids or grandkids. 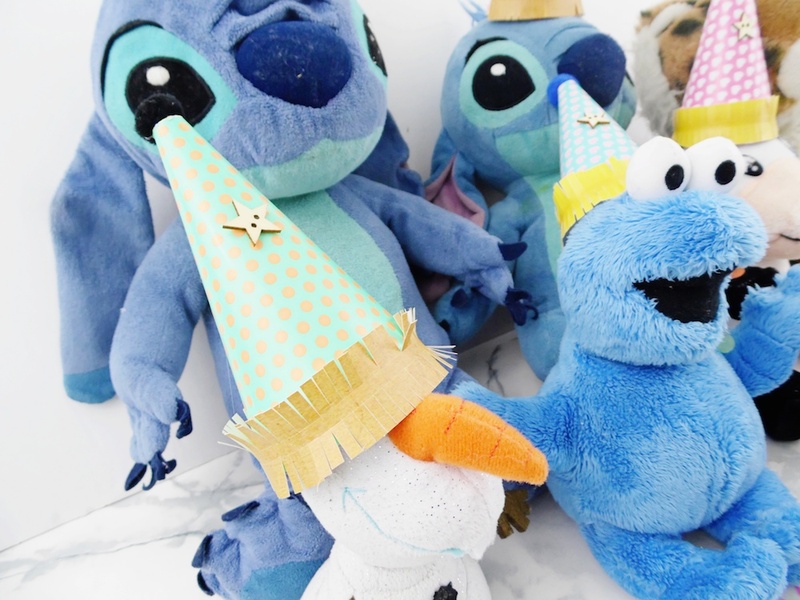 CLICK HERE to learn more about these fun party favors! You kids will love having a place to call their own this summer. 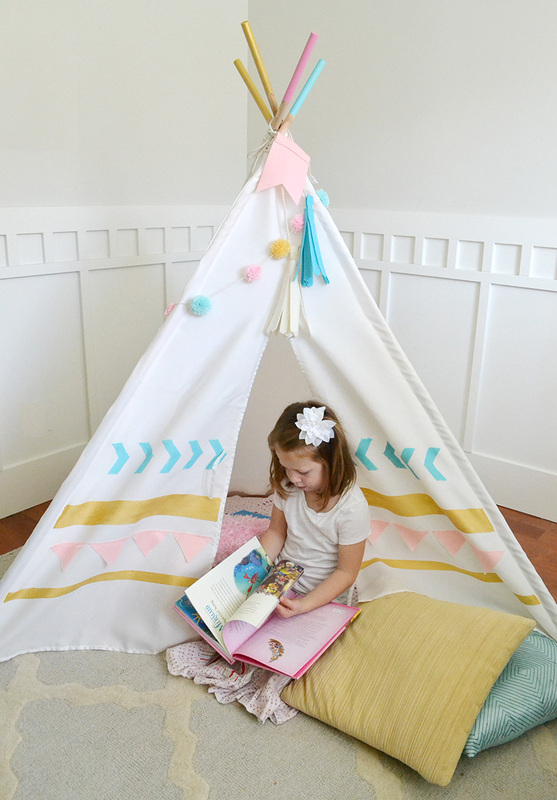 Whether it’s for indoors or outdoors, reading or playing house, the DIY Teepee Kit is perfect for keeping small people happy and entertained. CLICK HERE to learn more about how to customize your own. Thanks for joining us today! 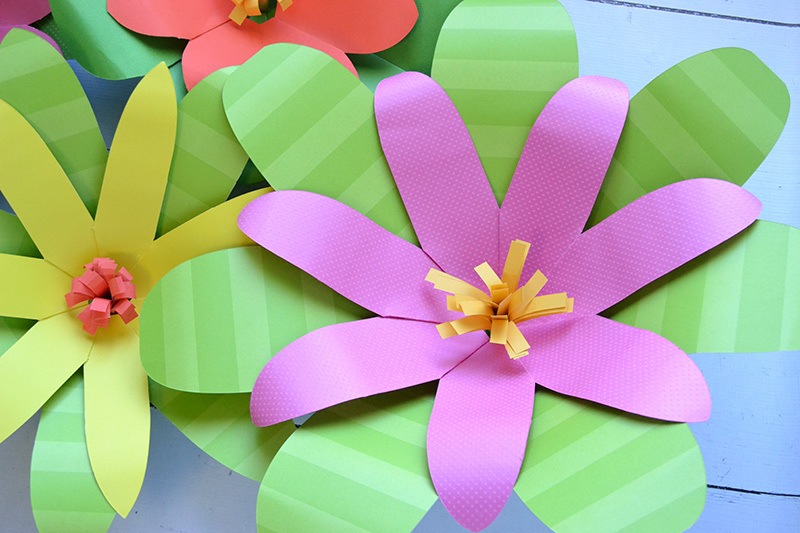 We hope you’ve found some inspiration for some fun kids crafts to try this summer. Creative cheers! Hello everyone! Chantalle here, welcoming you back to the blog today. My dear daughter has a changing smile at the moment, as she has started to loose a few more teeth. That little face, complete with a gappy grin just melts my heart! 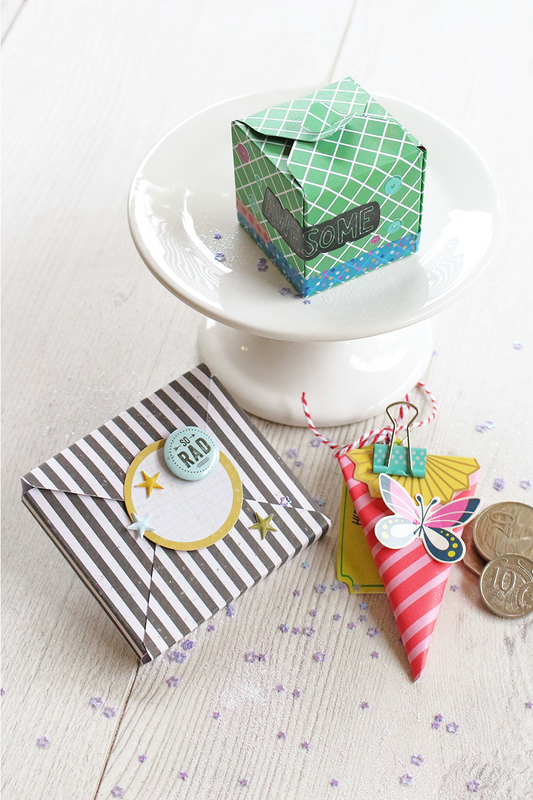 She has been using her brother’s homemade Lego tooth fairy box to store her tiny treasures, but I thought creating some special boxes would be a sweet way to mark the occasions. The box envelope one was created using my 123 Punch Board. It’s extremely similar to creating a regular envelope on the board, with the exception of creating a few extra score lines. I used the smallest size noted on the measurement chart on the 123 Punch Board. 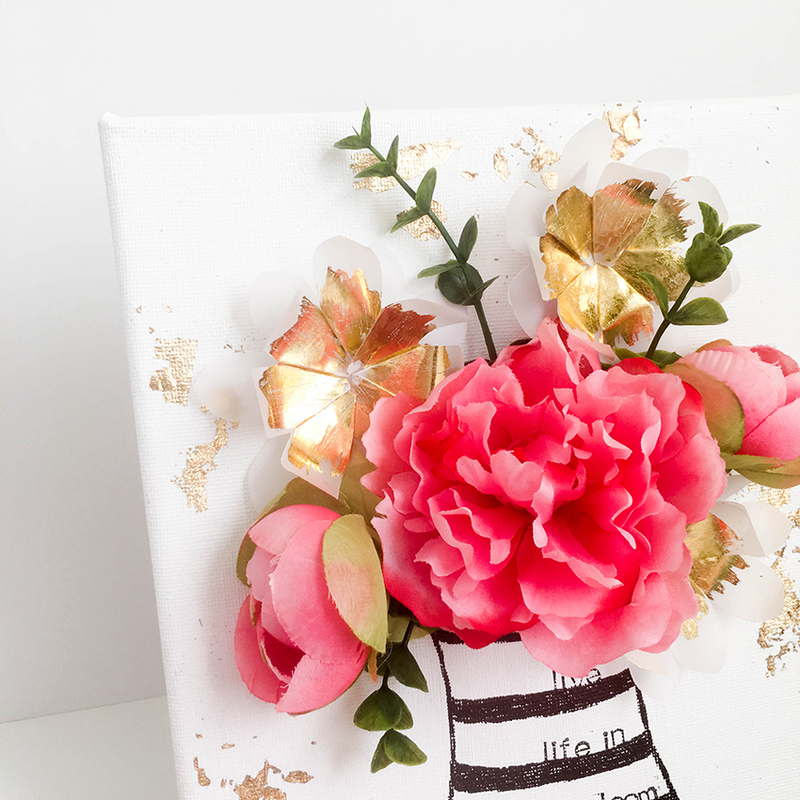 The overall size of the box is 1 ¾ inches squared and uses a piece of bright and beautiful Amy Tangerine On a Whim, ‘Let’s Leaf’ trimmed to 6 x6 inches. The paper is scored and punched on both sides to reveal the box shape. 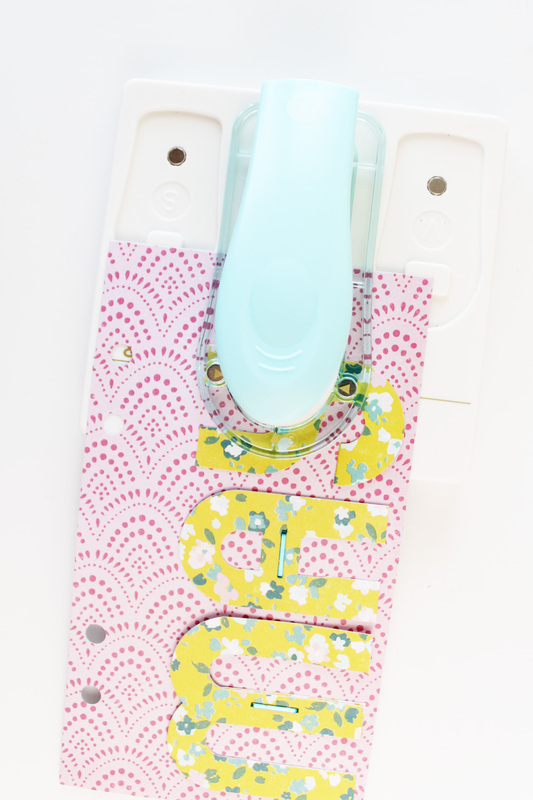 Use the notch punch, which is cleverly incorporated into the punch board (along with a corner rounder) to create the grooves where the top sections fold in to each other to close the box. Tip: Close opposites sides of the box first. 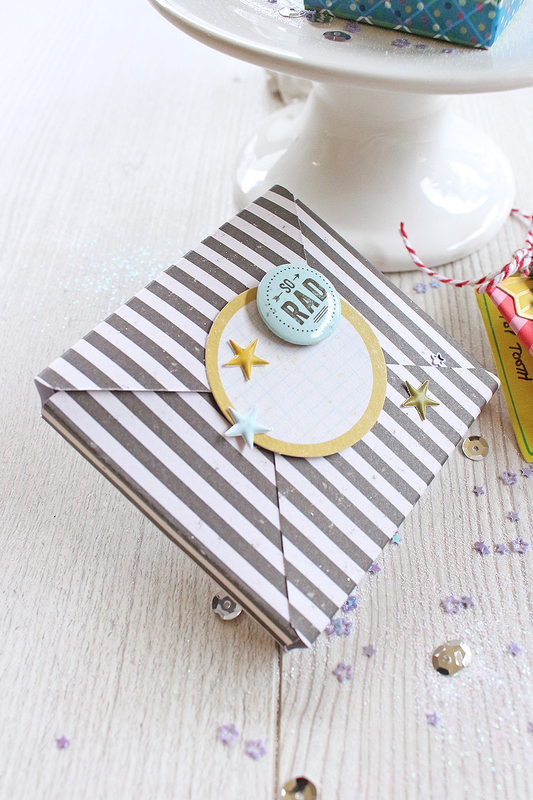 I’ve decorated the outside of the box with some Heidi Swapp Rub ons, some Amy Tangerine Washi Tape and Stickers. 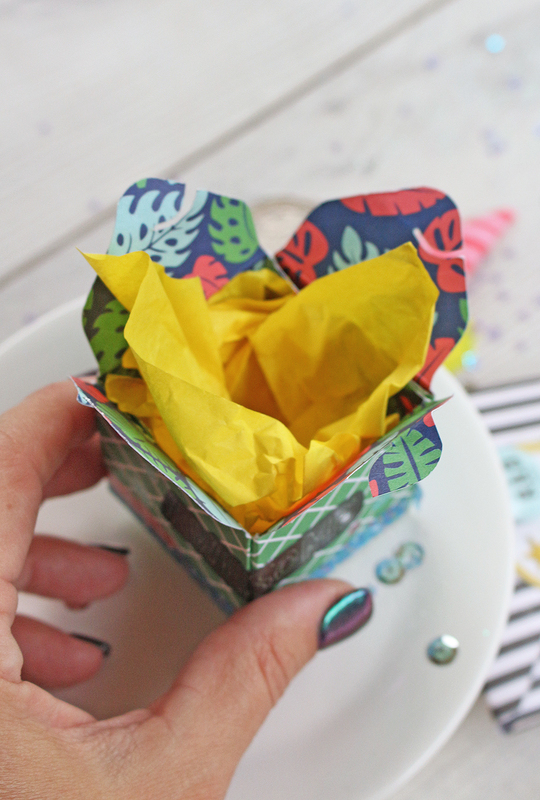 Inside, I have filled the box with some lovely yellow Vicki Boutin Tissue paper for a bit of fun. 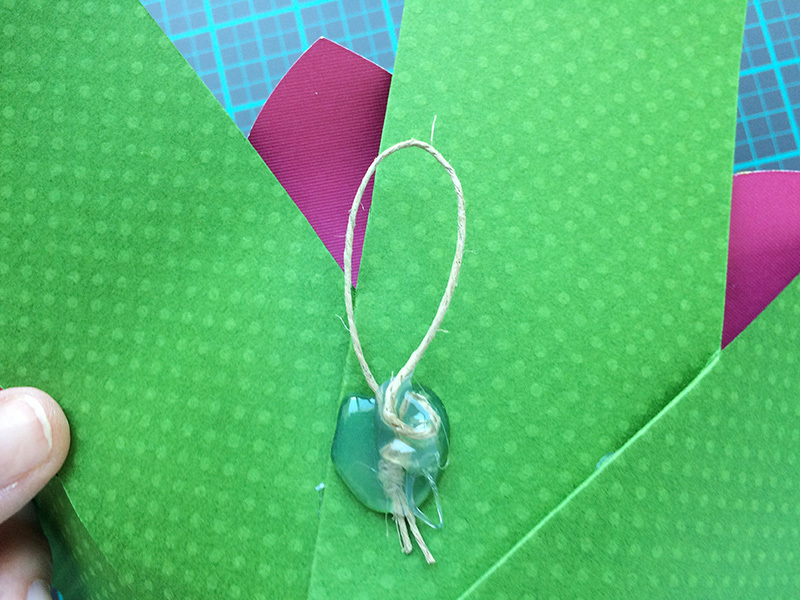 The box envelope is very easily put together, as mentioned earlier. I started off with a piece of paper, trimmed down to 5 1/8 inches squared and followed the prompts in the instructions for the 123 Punch Board. Inside this box, is a pull out card where we can record the details of the tooth or a message to the Tooth Fairy. 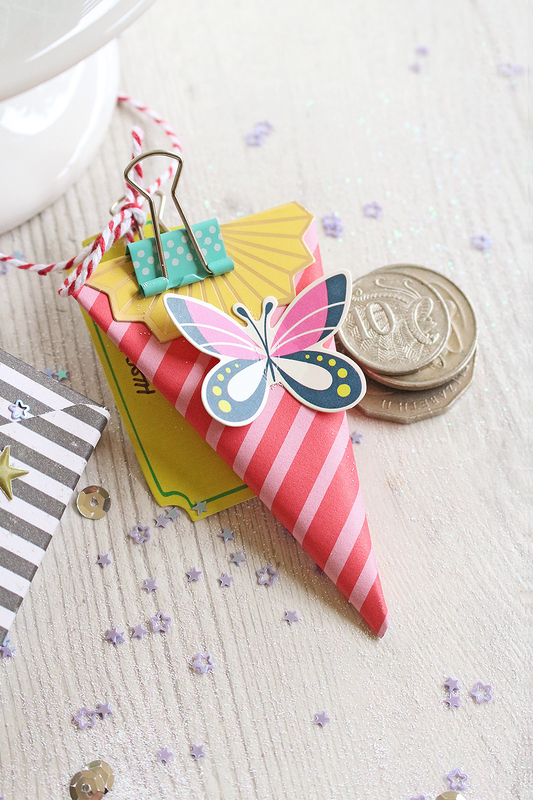 A handy storage idea (and so that the Tooth Fairy can make a quick getaway if she chooses to leave the envelope behind) is to include a little packet to keep the tooth in, if you are worried about it falling out. I picked these ones up at a Dollar Store. 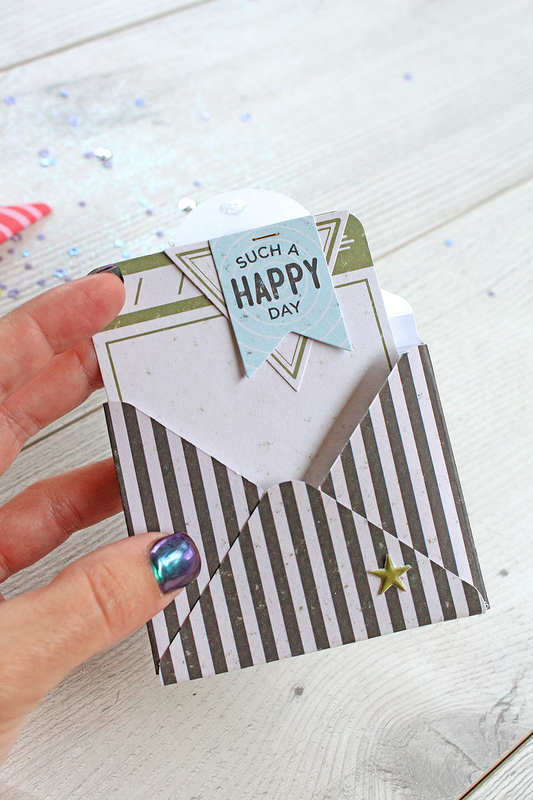 Another tip I thought I would share, is to close the envelope with a removable glue dot. That way, you can open and close it without causing any damage. 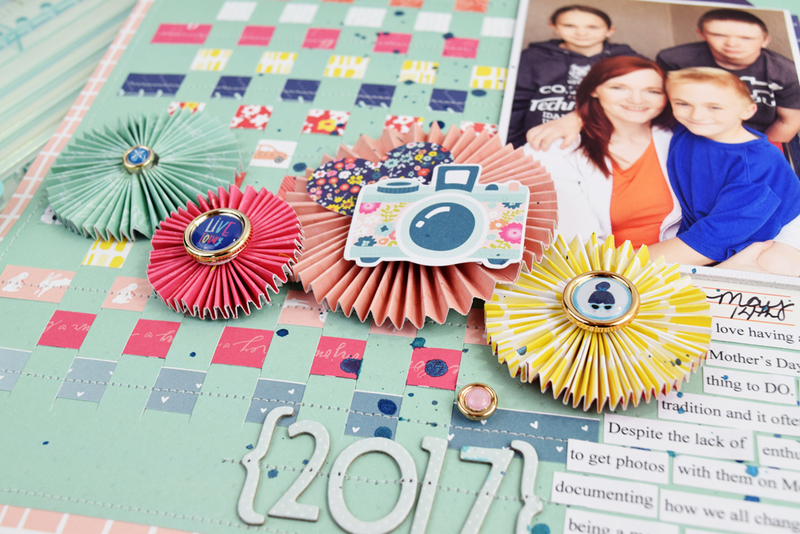 The envelope has been embellished quite simply, using some High Five items, like a button, some stickers and a die cut circle. This one would be great for a little Mister who has lost a tooth as well! The third little box turned out to be my daughter’s favourite and she used it straight away! Using my DIY Party Board I placed a sheet of Amy Tangerine On a Whim, ‘Sprinkle’ on to the board and cut a small triangular shape from the bottom. Note: I used the smaller guide and just cut a section off that I thought would work. You can of course, cut as big a shape as you like. I rolled up the shape, glued it shut and folded the top in a bit, further persuading it to stay in the rolled shape. For a non-permanent closure, I have used a folded Oh Goodie Starburst Closure and a decorative bulldog clip. 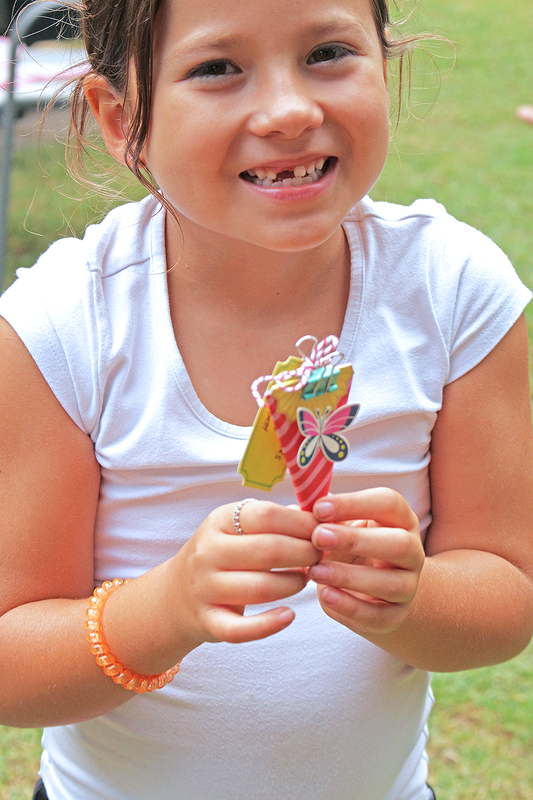 To the clip, I have attached a small tag with details of the tooth and finished it off with a cute butterfly die cut from a pack of Flower Girl Ephemera. So excited to pop her tooth inside! It’s just a matter of time before that gap widens, as we have the neighbouring top tooth loose as well! 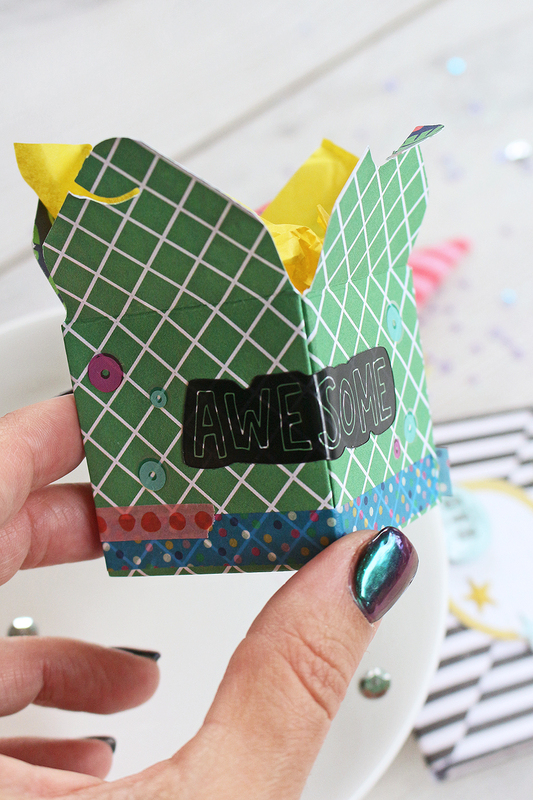 Happy Monday morning, and welcome to Kids Craft Week here on the blog! 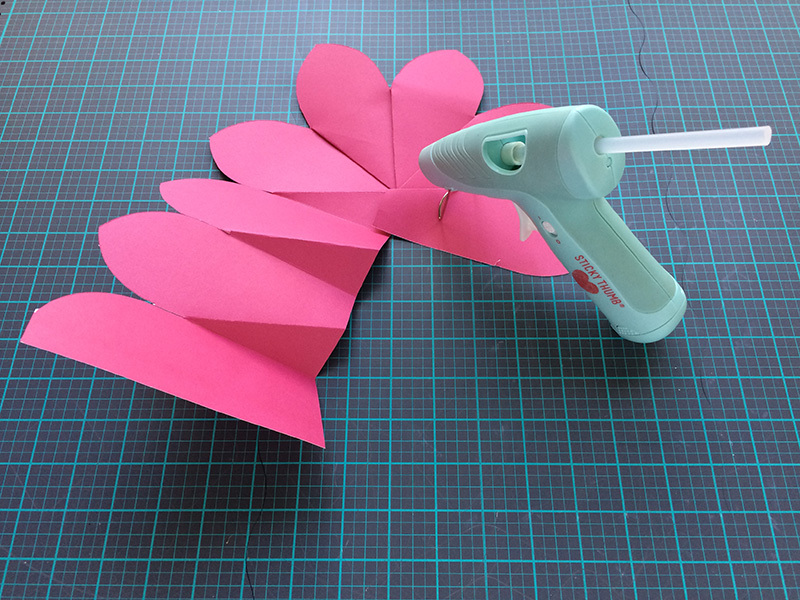 This week our team is sharing projects for kids, or that can be made with kids. They’ve got plenty of awesome ideas to keep little ones entertained over the summer, so be sure to check back often! 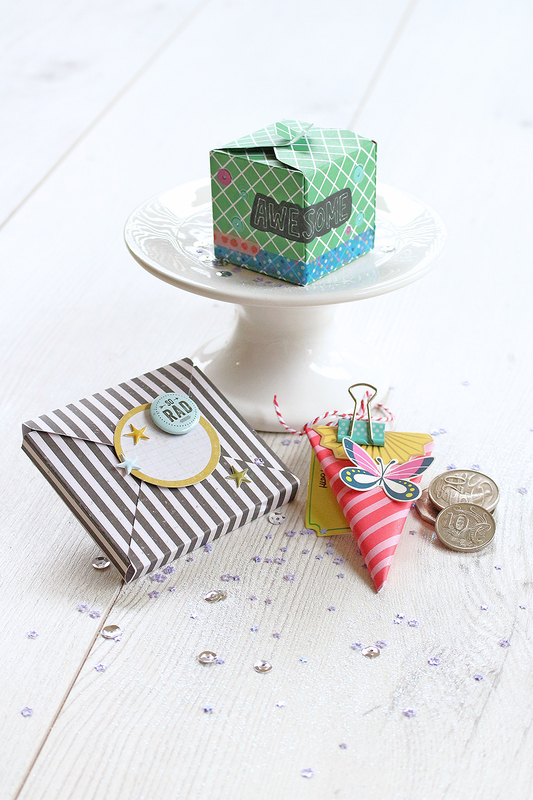 First off is a great project idea from Soraya Maes. Hello We R Memory Keepers fans! 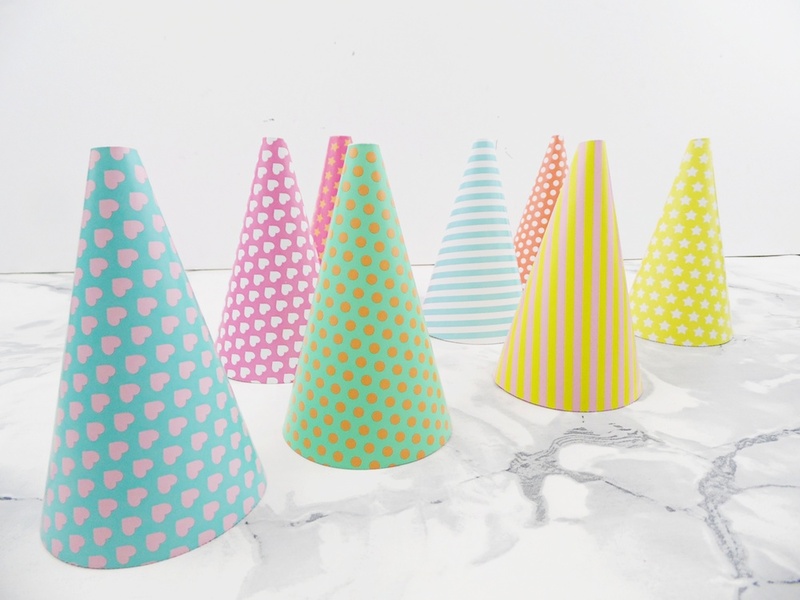 Soraya here with you today to share a creative activity we made together with my kids: mini party hats for their toys! 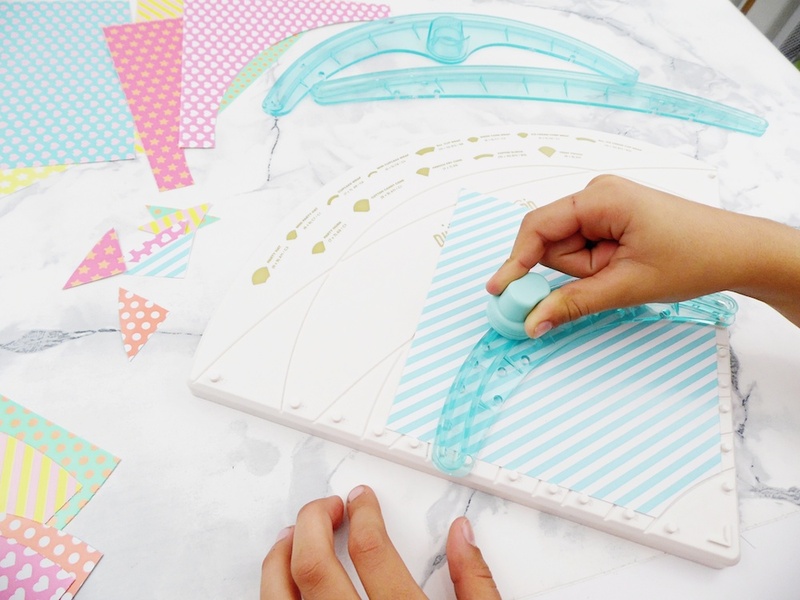 And we had a lot of fun playing with the DIY Party Board which is now for sure, their favorite tool! For this special Kids Craft week I asked them if there was something they would love to create with me and they answered (without any hesitation!) 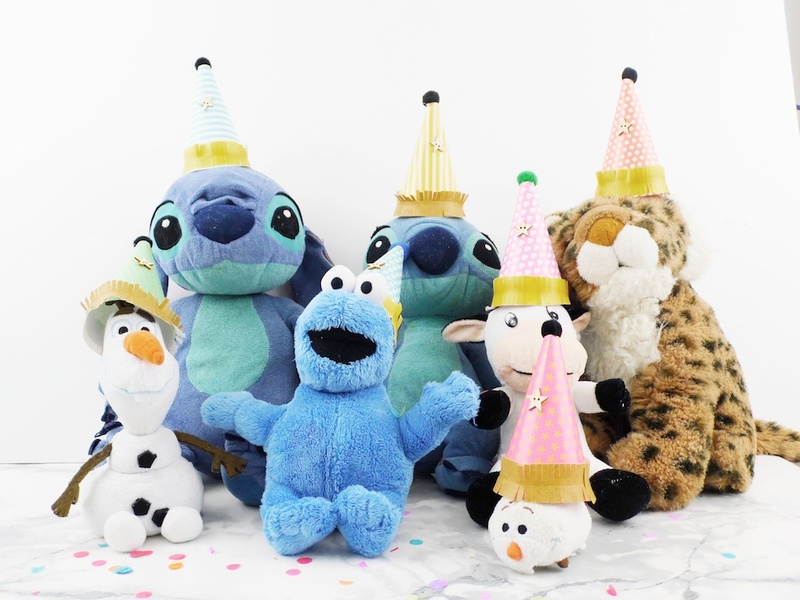 that they would love to organize a birthday party for their toys! So this is what me made together and they were just amazed by the DIY Party Board. It was so cute! My son started by cutting the colorful papers he selected with the Trim & Score Board. We needed 6×6 squares. And my daughter did the same with her own selection of colorful papers. 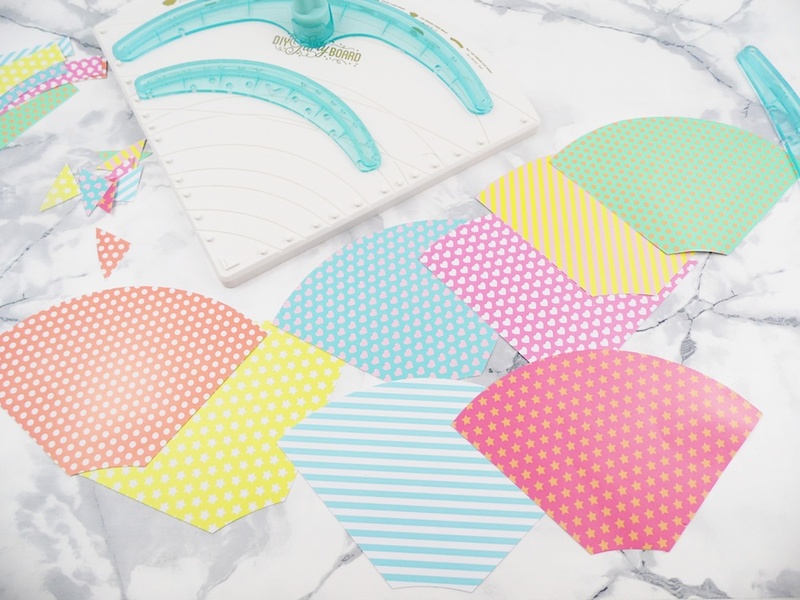 Then she started cutting the mini party hats shapes with the DIY Party Board! 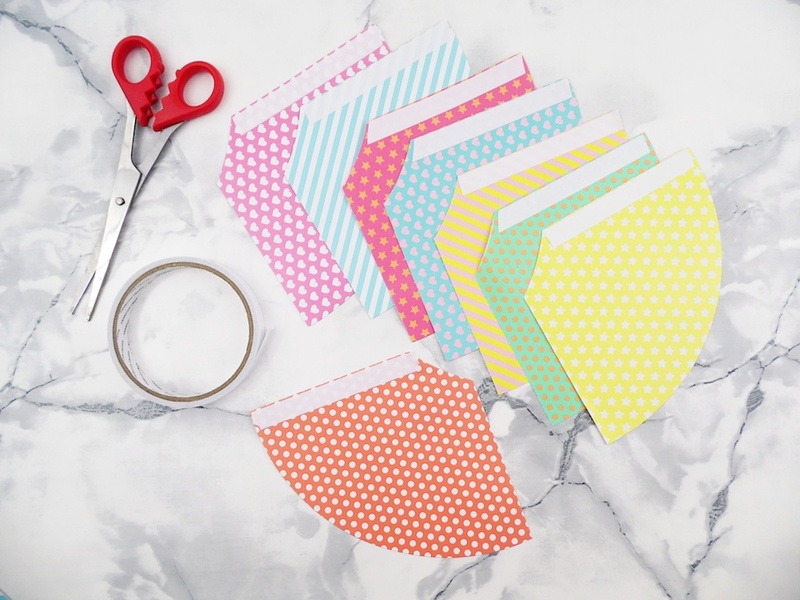 We placed the double sided tape on each edge before shaping them into cute mini hats ! And finally we used some FUSEables fringe strips, small pompoms and wooden stars to decorate them ! And voilà! 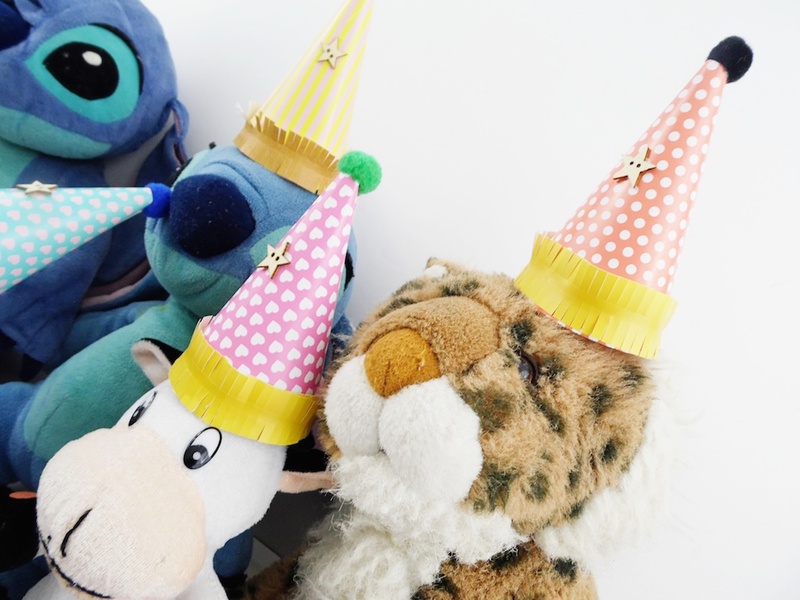 My kids were so happy and excited to see how it turned out, they could party all the afternoon with their toys! Haha! We R Memory Keepers always has the best tools to create fun! 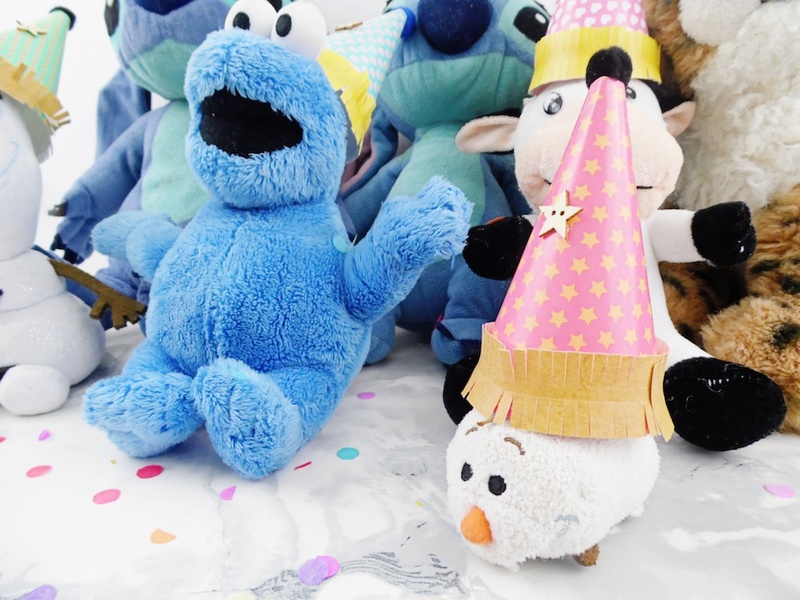 Hope this kids craft idea will give you inspiration to have fun with your little ones! Until next time! Hello there We R friends! It’s Aly here with you again to finish off Flower Week with a larger-than-life party backdrop idea. 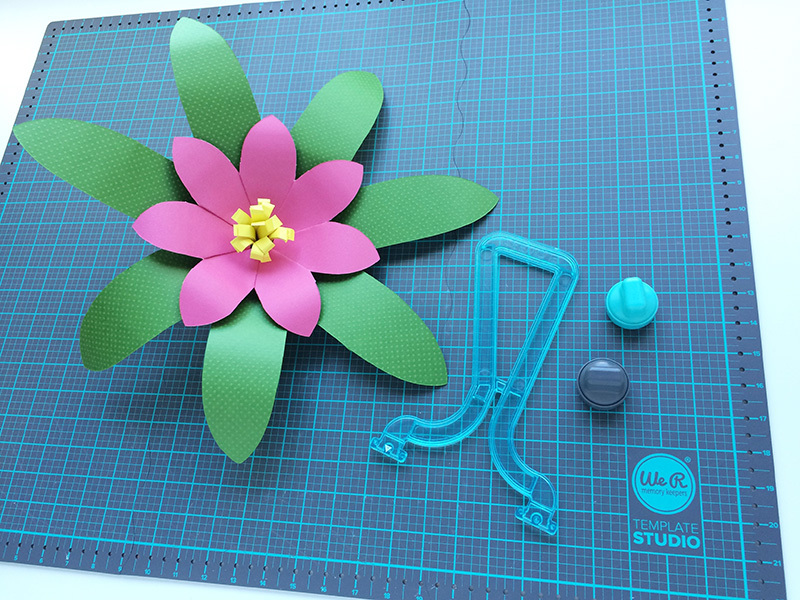 Create a giant flower backdrop with the Template Studio Starter Kit, Flower Template Guide, and some Designer Poster Board! This giant flower backdrop is perfect for a luau, summer pool party, a bridal shower, a wedding, a baby girl shower, a tea party, and more. All you need to do is select poster board colors and/or patterns that fit with your event or theme. 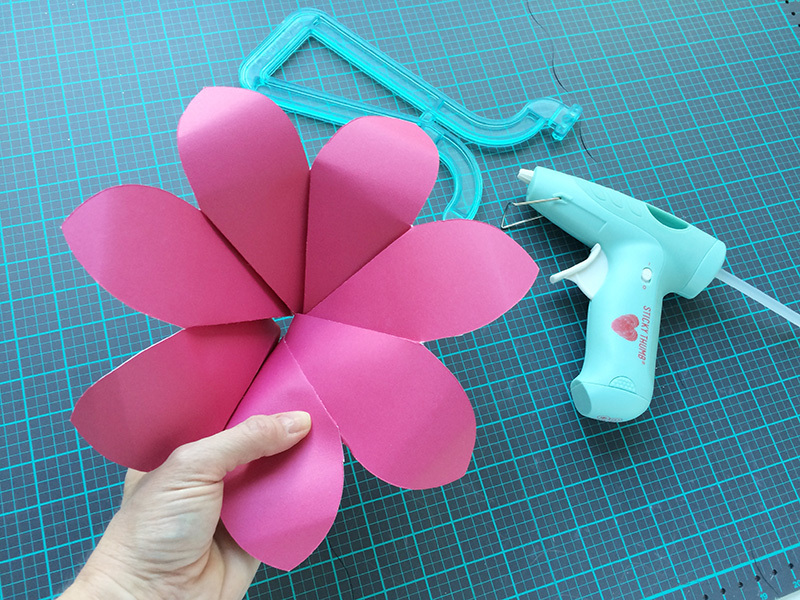 To make your own giant flower backdrop, start by trimming your poster board to the size shown in the instruction manual based on the flower size you’ve selected. 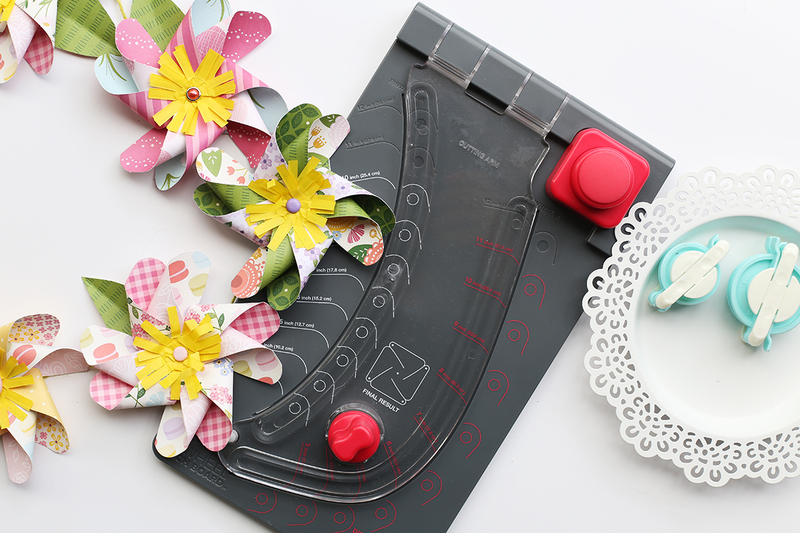 Then follow the directions to cut out and score your flower petals using the flower template guide. 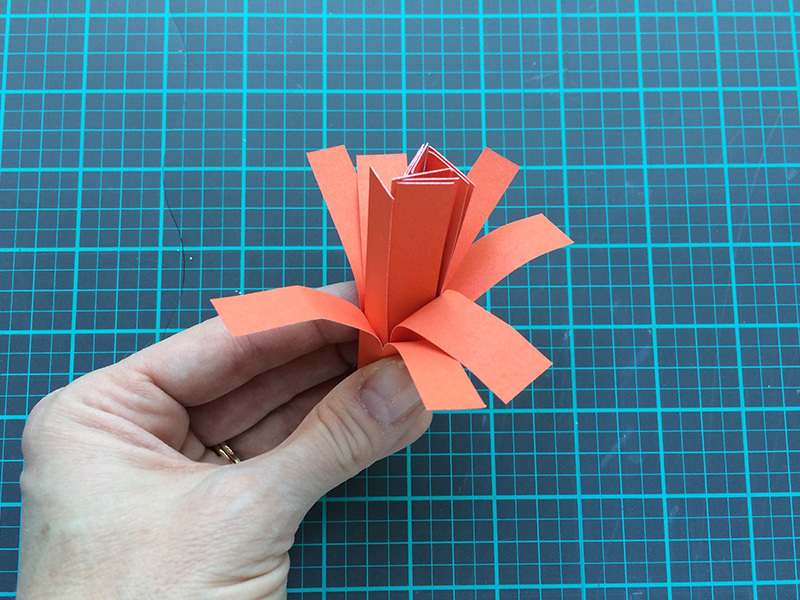 Fold the score lines as explained in the instructions, and secure the petals with a strong adhesive. I recommend hot glue for this project, and the American Crafts Sticky Thumb Cordless Glue Gun is my favorite. No limiting cord to worry about! Layer multiple flowers for more dimension and color. Then add a loop of twine to the back for hanging. 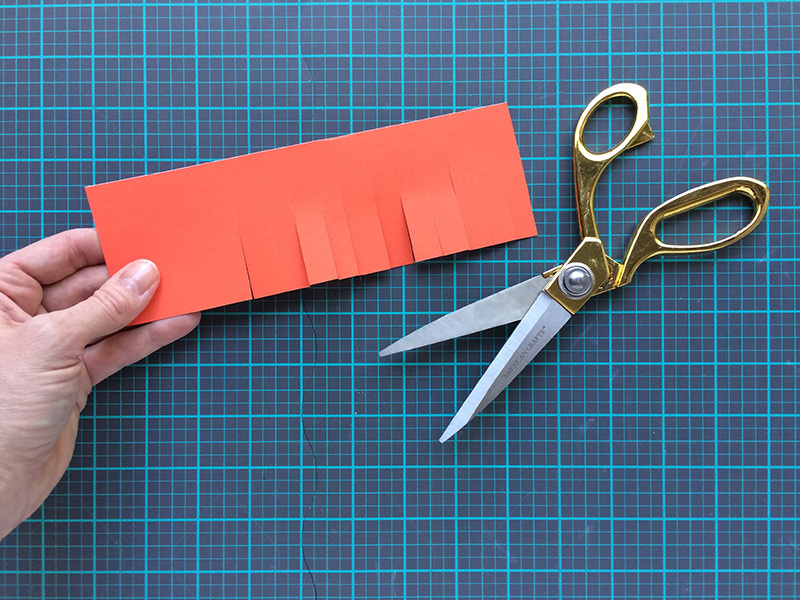 To create the flower center, cut a 12 inch long strip of paper that’s 3-4 inches wide, and cut some fringe into it. 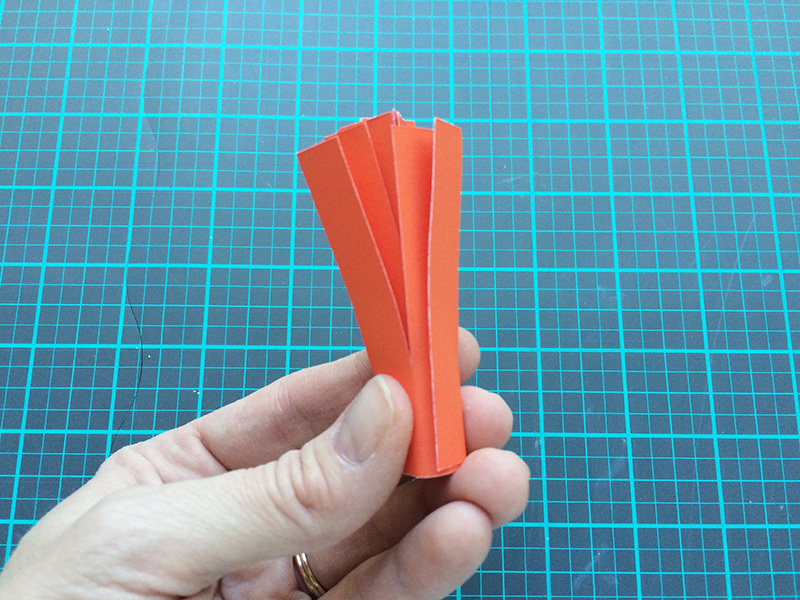 Roll up the paper and secure it with hot glue or another strong adhesive. Then curl back the fringe to add some dimension and texture, and then hot glue it to the center of the flower. Make several flowers in different sizes and styles for a show-stopping backdrop for your next event! I started by covering an 8×10 canvas with gesso. 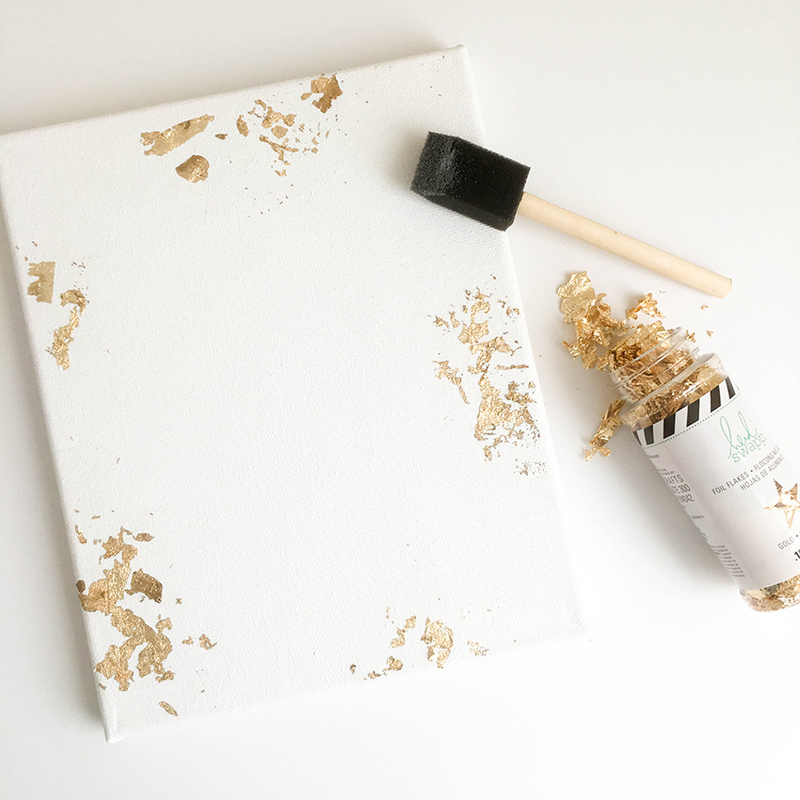 I then applied some Heidi Swapp gold flakes to the edges of the canvas. Like myself, you may have seen a similar project making the rounds on Facebook or Pinterest lately. 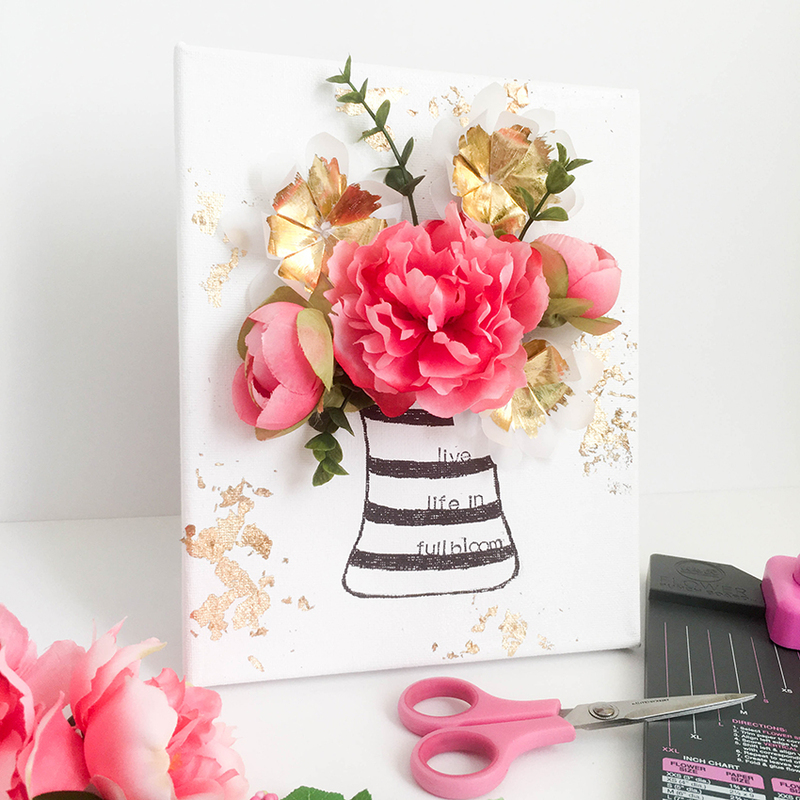 I thought using silk flowers and a canvas to make a 3-d art project was a really fun idea, but being a paper crafter I just had to add some paper to it! 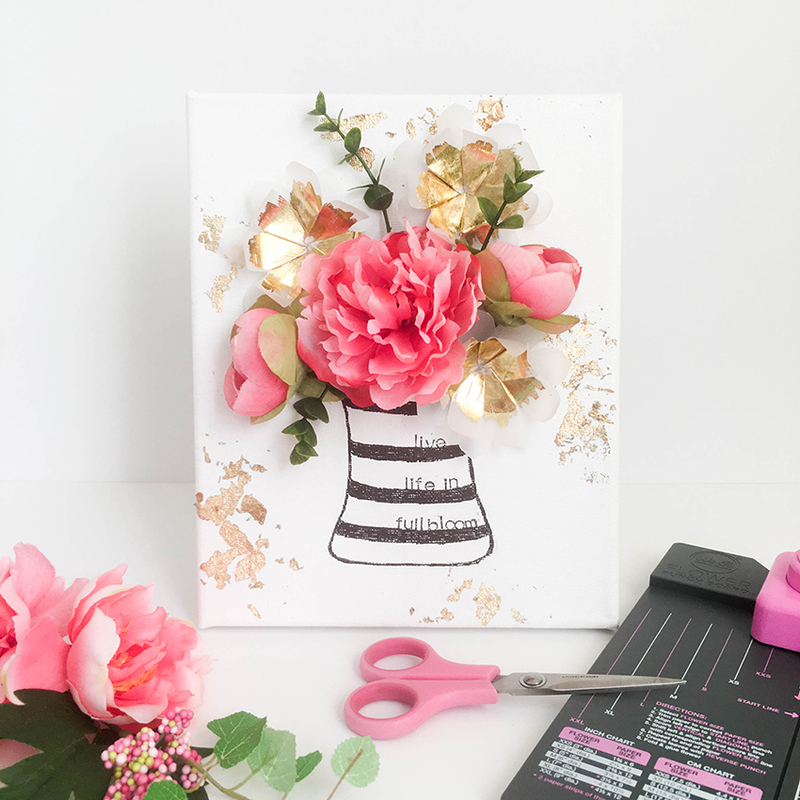 The Flower Punch Board was perfect for punching, scoring and folding some pretty vellum flowers. To make the flowers even more special, I painted the petals of the top layer of each flower with Minc reactive paint. I allowed the paint to dry for several minutes, then ran the flower petal strips through my Minc machine with gold foil. So pretty! I drew a vase and stamped a sentiment, then used a craft knife to slice open the canvas at the top of the vase. I tucked my silk flowers in, then arranged my foiled vellum flowers until I was happy with the design. Last, I used my hot glue gun to secure everything in place. 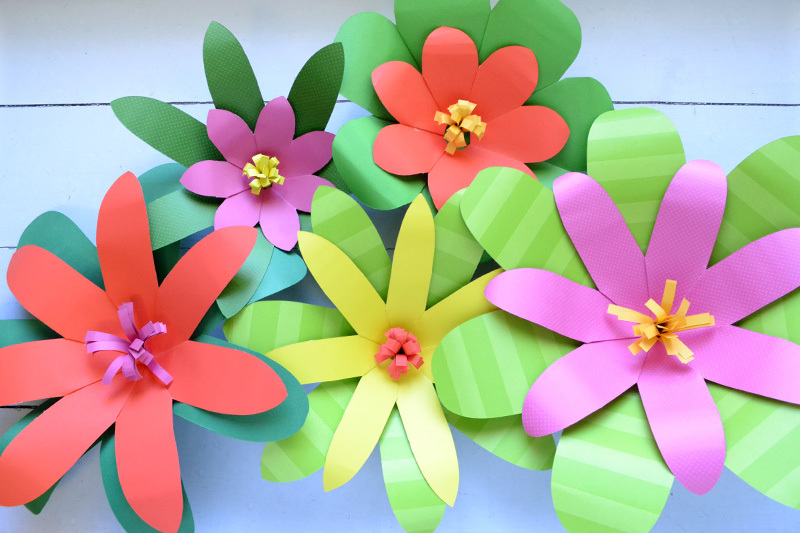 I’m so glad that I had the Flower Punch board on hand to make my paper flowers. 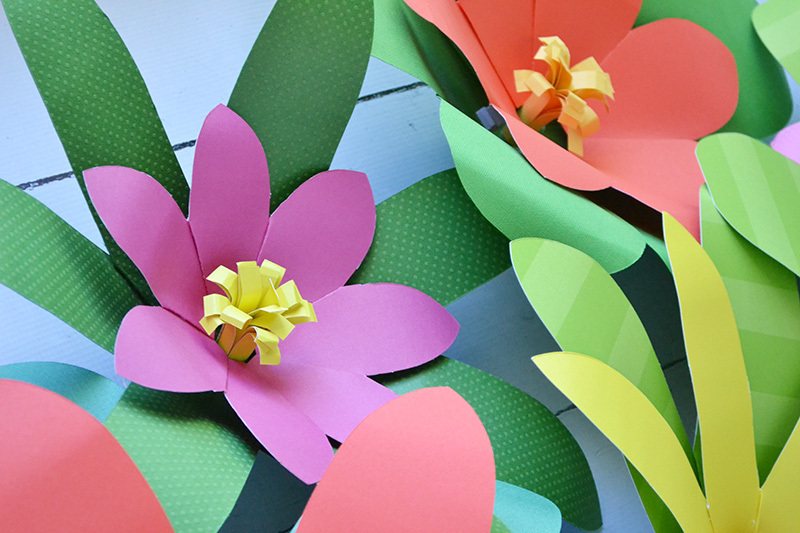 Cutting out and assembling each petal would have taken a long time, but the punch board made quick work of that process. And now I have a fun, quirky art piece in no time. Why don’t you live life in full bloom and give this project a go? Happy creating! Hey there WRMK friends and fans, Becki here to share with you a layout I created with the Fringe and Score Board. 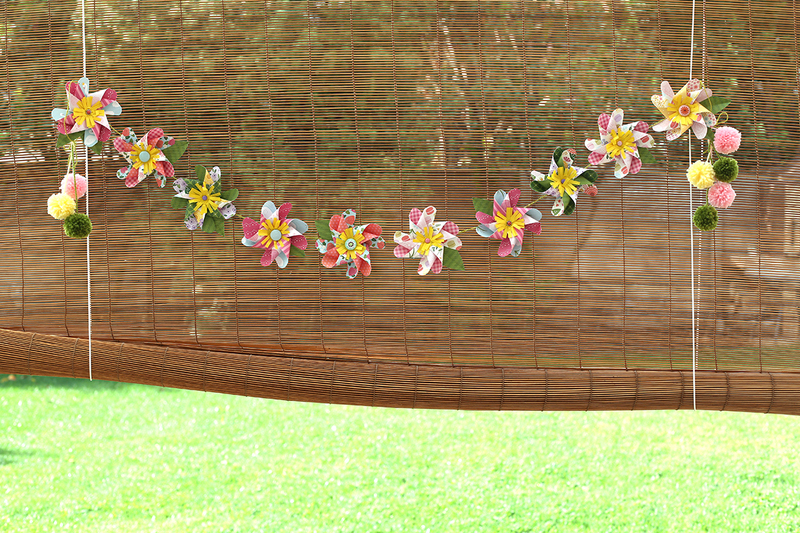 I created some fun flower rosettes along with a really fun woven background with the Fringe and Score board. The Fringe and Score Board made creating these details on my layout SO easy! 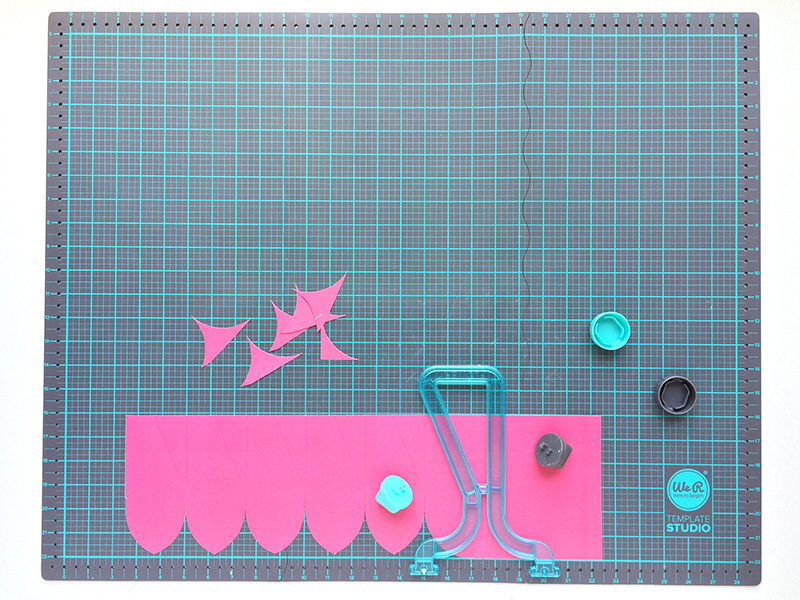 I started by cutting the background of my layout with the fringe and score board. I used the blade portion of the fringe and score board with the blades set at 1/2 of an inch to cut the slits for the weaving on my background. 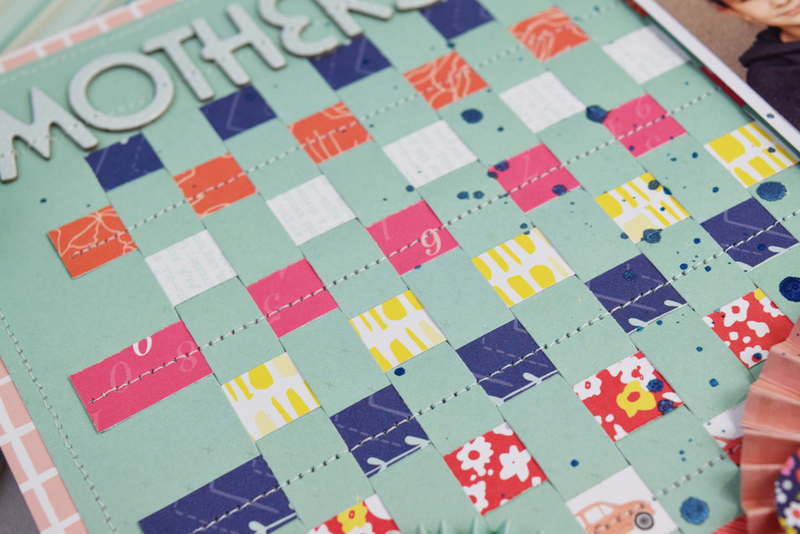 Then I cut 1/2″ strips of coordinating patterned paper to weave into the background. I stitched the strips into place so they didn’t slide in and out of place. 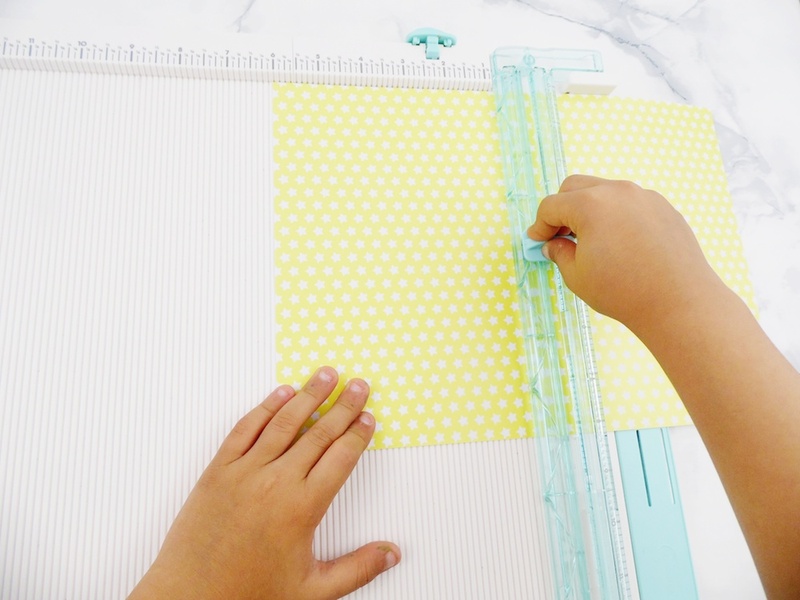 I remember doing this paper weaving technique in grade school. It’s so easy and so fun! Then, I created the rosettes. I used the scoring blades to score the strips for the rosettes. I did shift the paper strips so that the score marks were at every 1/4″ instead of 1/2″ because I wanted the flower rosettes to be a little less bulky on my layout. In the center of each rosette is a bit of embellishment. I added a pop of color to the right side of my photo and even punched a lace border using the doily border punch. I love how this little detail balanced out the loads of color on the left side of my photo. I love how this layout turned out and can’t wait to use this technique over and over again. Thank you for stopping by the We R Memory Keepers blog. I’ll see you again soon! 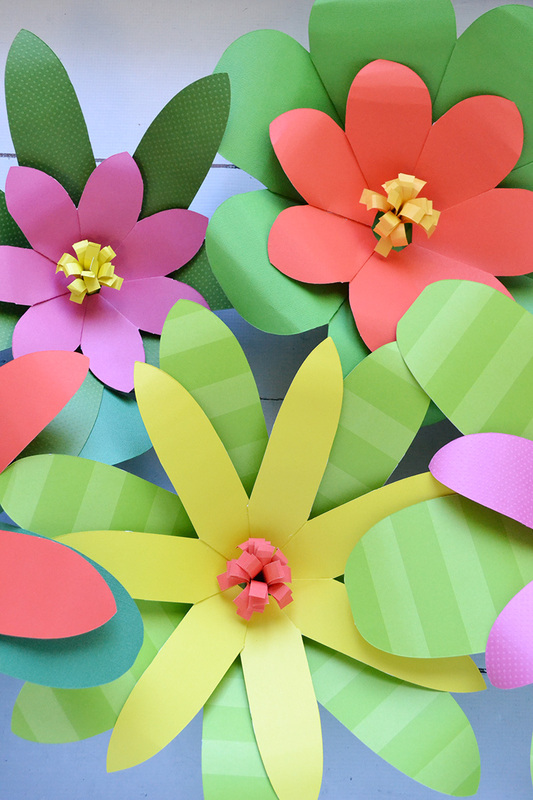 They say April showers bring May flowers, so this week we’re sharing some paper flower project inspiration from our design team. Be sure to check back each day this week–you’ll love what the team has come up with. First off is Eva with a Pinwheel Flower Garland. Hello We R fans! 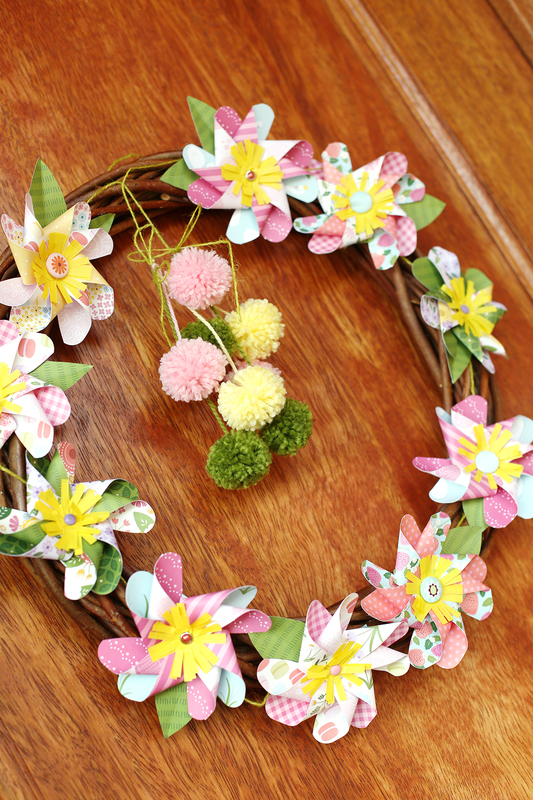 It’s Eva on the blog today bringing you a summer-inspired floral garland made with our Pinwheel Punch Board. 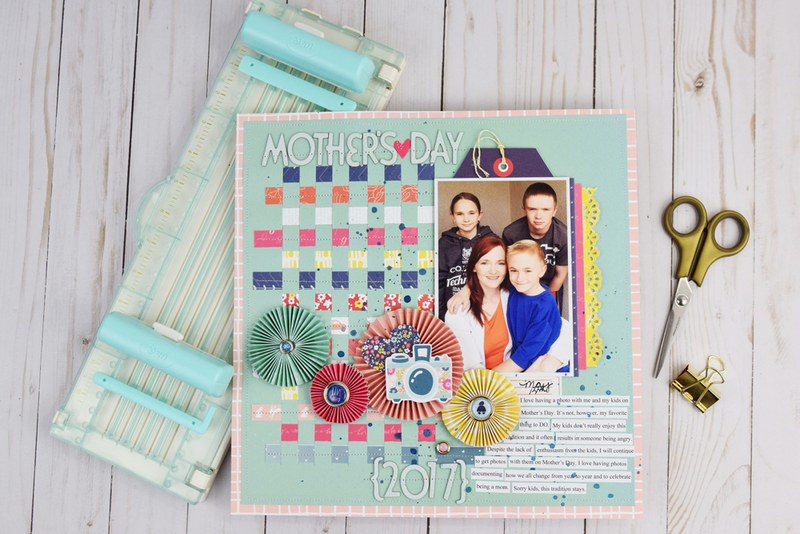 The Pinwheel Punch Board is one of my favorite boards, these pinwheels are beautiful, with round corners and you can layer them! You can’t do all these things by yourself! 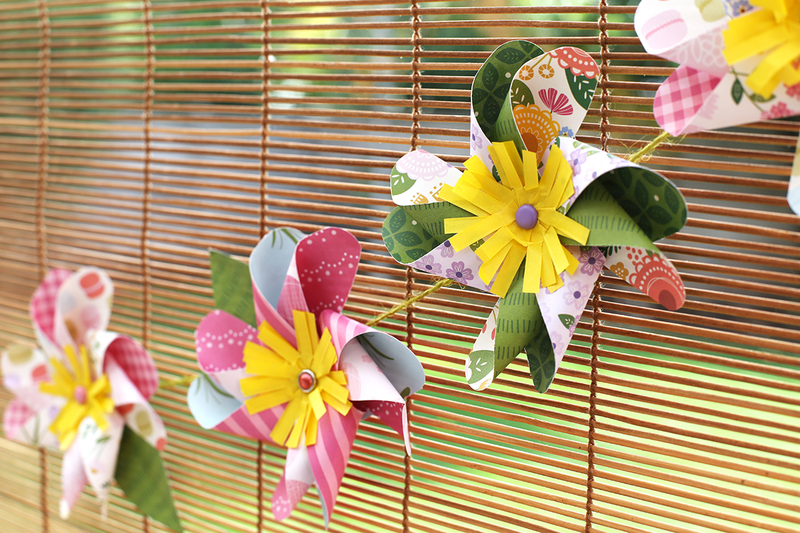 Plus, the pinwheel attachments allow you to create perfectly functioning pinwheels. I made my pinwheels with 3 inch wide papers from the Tealightful collection by Pebbles Inc.
To decorate my garland I made some pom pom using our Pom Pom Maker and coordinating wool. 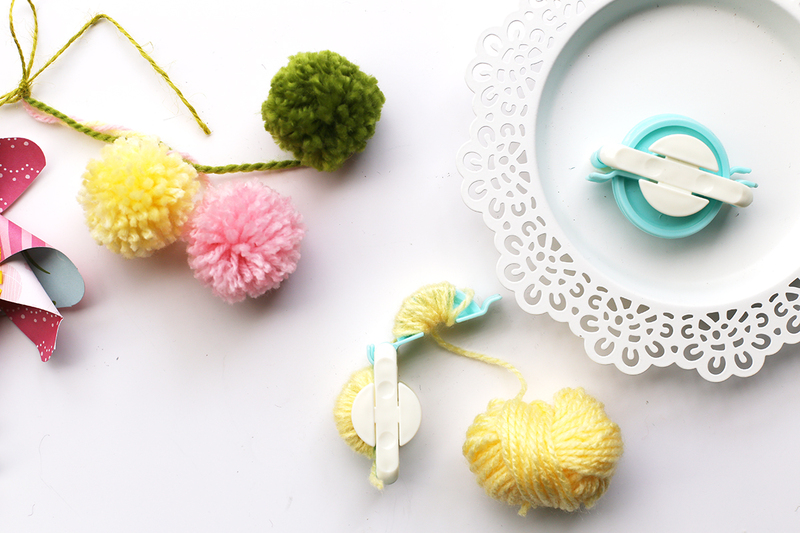 The pom poms are really easy to make! 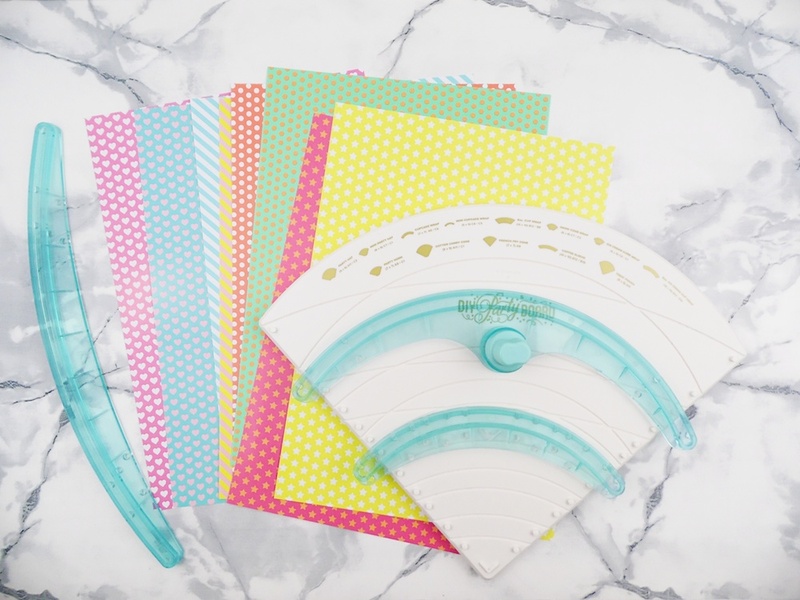 No more cardstock circles like I used to make them when I was a kid! If you have small children ask them to help, they are going to love them! 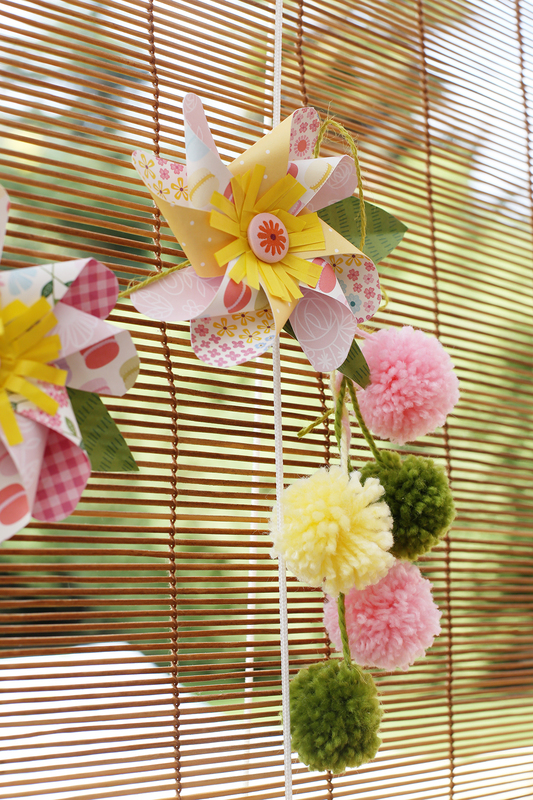 If you use bigger pinwheels you could also use the pom poms as the center of your flower, that would look so cute! I glued each pinwheel to a piece of twine and hung it on our yard. If you want you can wrap it around a wreath to decorate your front door. I left my pom poms hanging in the center of the wreath. 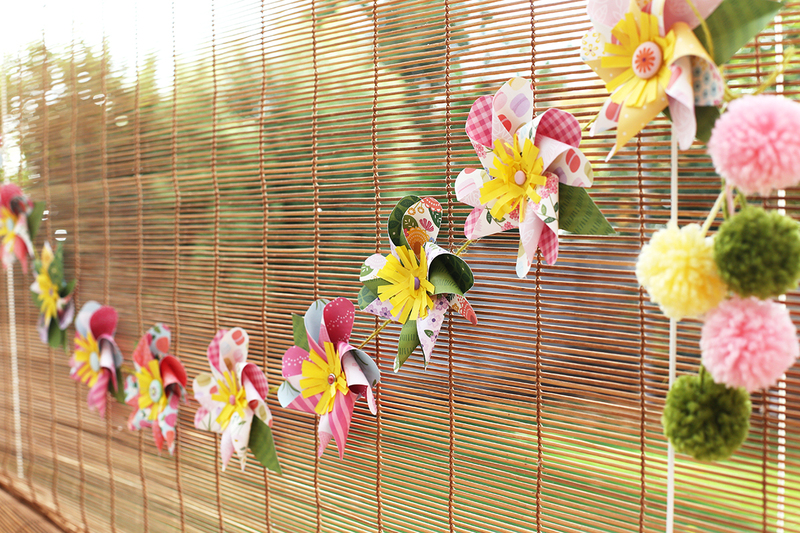 I love the summery feel this garland brings to our yard, make them in different sizes and colors, I am sure your pinwheels are going to look great! Hello We R friends, and Happy Monday! This is actually our favorite kind of Monday, because today we get to share some exciting news with you! 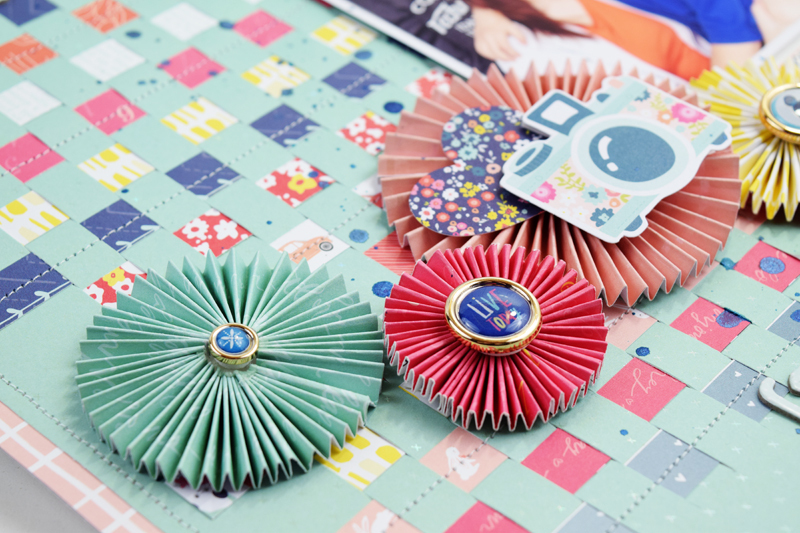 We’re thrilled to introduce you to the king of crafting, the Supreme Ruler! 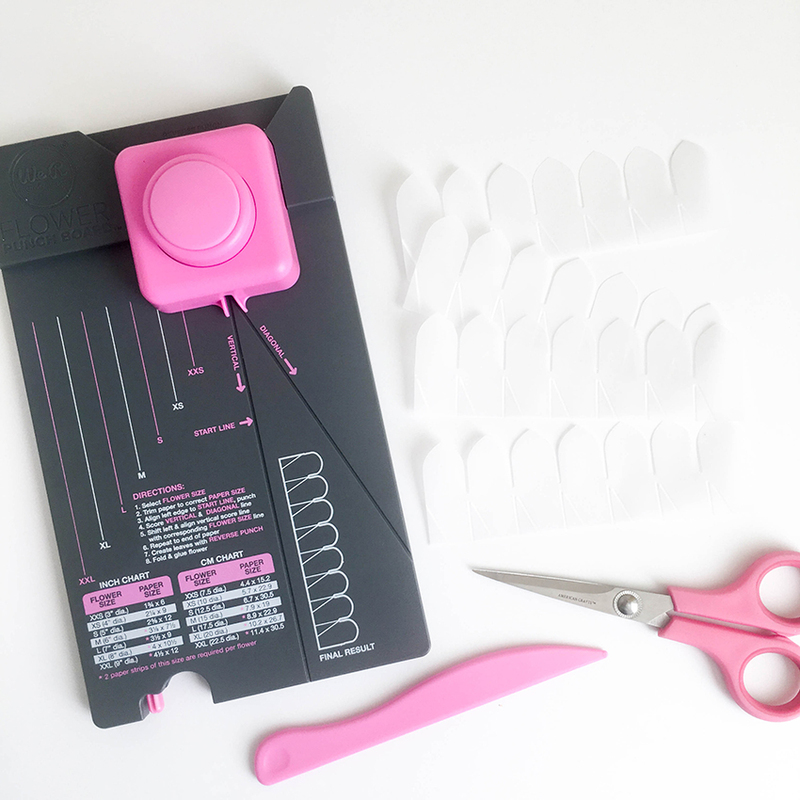 Making precise cuts can be a royal pain, but the Supreme Ruler has all the features you need to make beautiful projects without the hassle. It includes adjustable placement guides for precise marking and cutting. 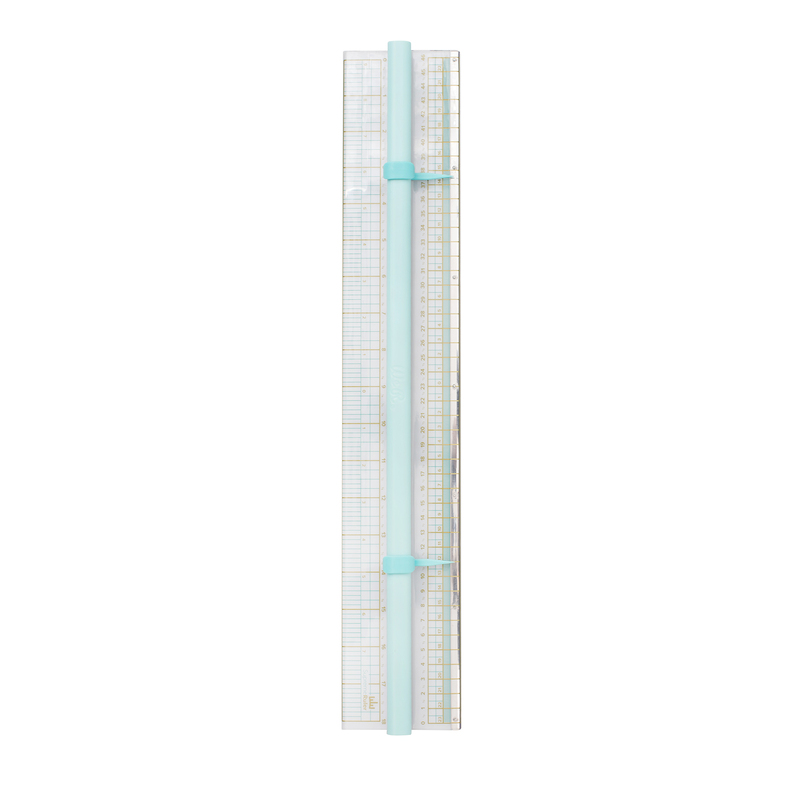 Made with transparent plastic, this 18”x3” ruler aligns easily with your cutting mat (sold separately), and has a durable metal edge for accurate cutting. So whatever your next project, take the stress out of measuring and cutting with the Supreme Ruler. This new release starts shipping to retailers on June 5th, so watch for it in stores and online near the end of next month! It’s Friday, yay! 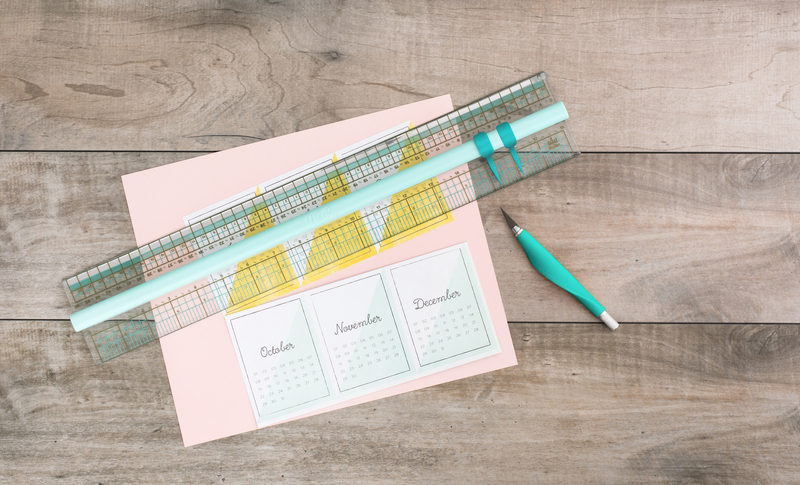 We hope you’ve enjoyed Planner Punch Board week, and that you’ve found some helpful inspiration. 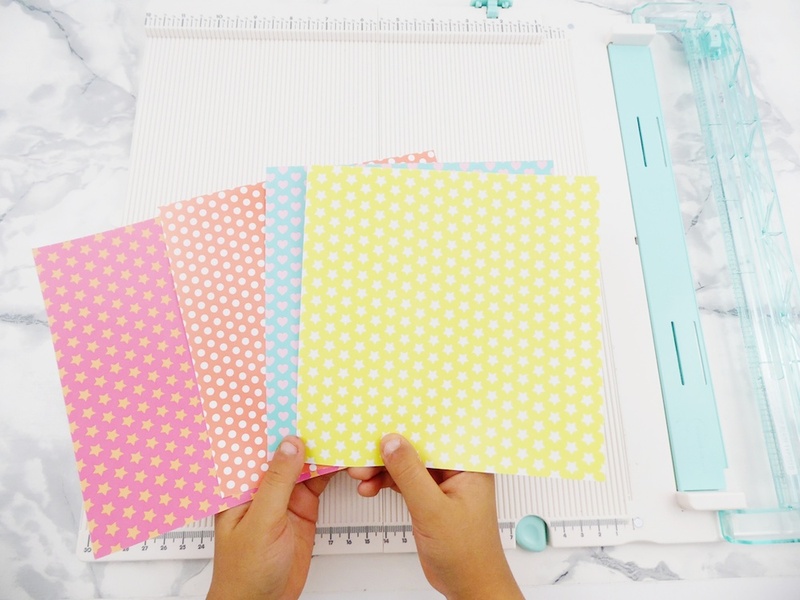 Today we’re closing off the week with some Planner Punch Board videos to share with you. Check them out below, and enjoy! Have a great weekend friends, and happy crafting! Hello, We R readers, Laura here! 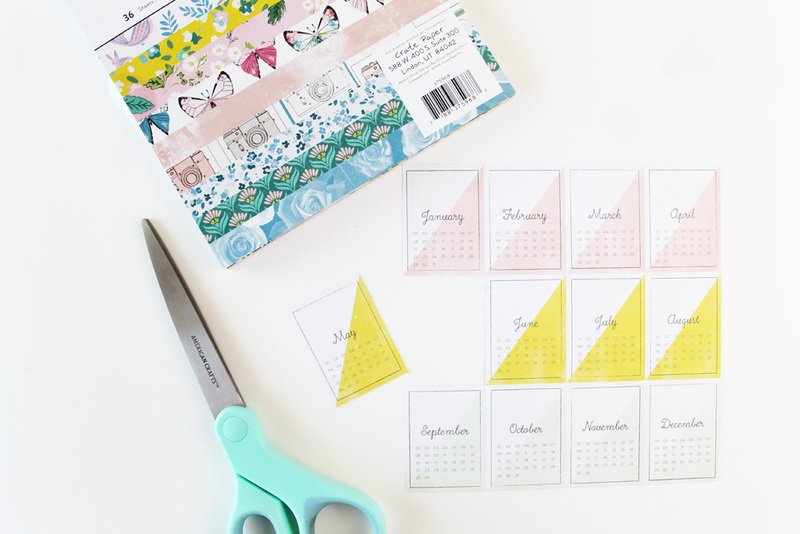 Today, I have a fun monthly planner dashboard to share with you. I am a little planner obsessed. I have had a lot of planners over the years in many different styles. 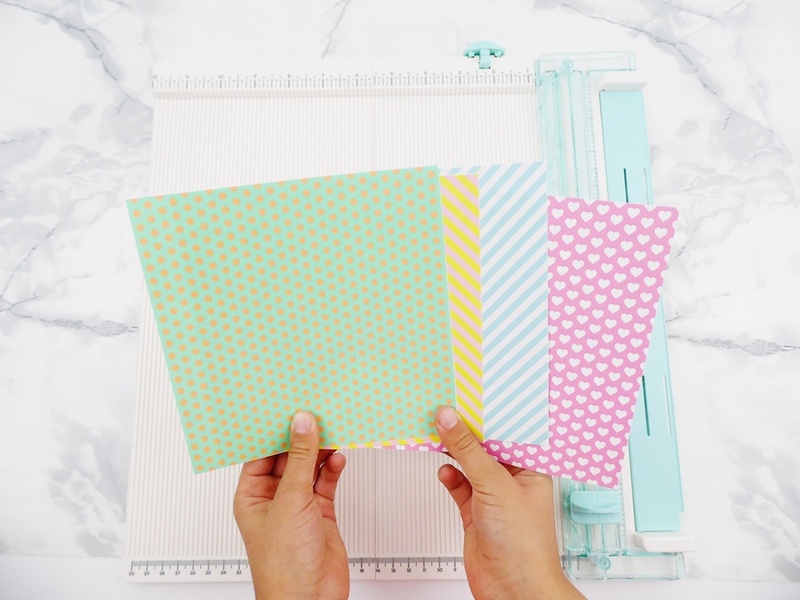 When I heard about the Planner Punch Board coming out, I was super excited! It is so convenient to have one tool to punch pages for all my different planners. I have a Heidi Swapp memory planner that I use for recording daily gratitudes and little memories from our day. My main planner is a workhorse and doesn’t leave much room for any memory keeping, so it has been fun to add to this separate one. 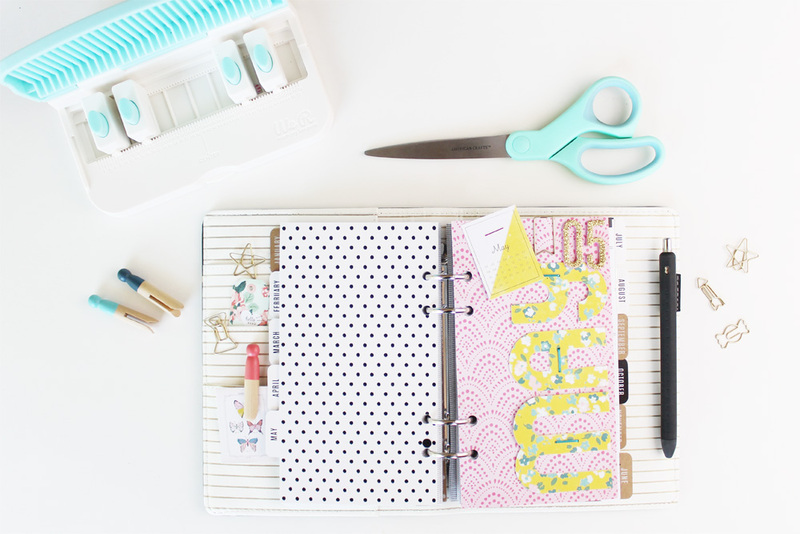 The colors are fairly neutral, so I like to add pops of color into my planner when I can. 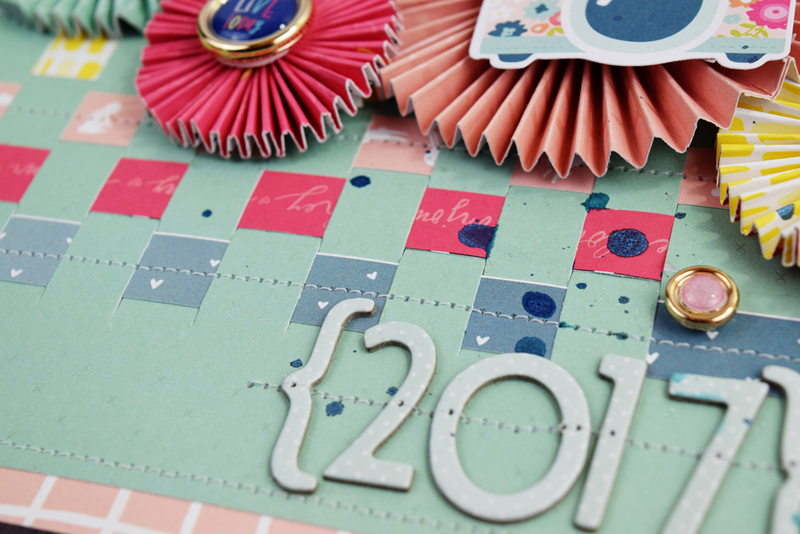 I started by using a pretty pink patterned paper from the Maggie Holmes Chasing Dreams paper pad. I cut it to fit in my planner. 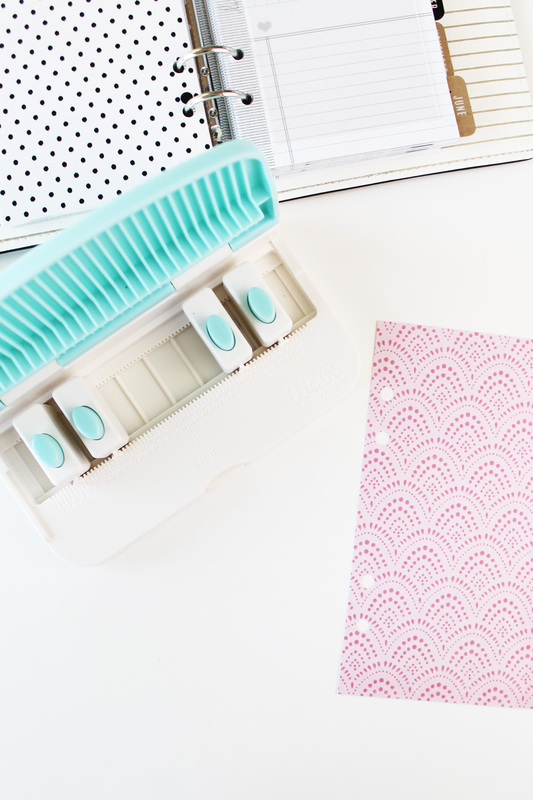 Then, I used the planner punch board to punch the perfect holes on my page. My exact Heidi Swapp planner was not listed in the instructions. But the holes for the small size were the same. So instead of lining my paper up at the guide, I centered my paper on the punch board. I love how versatile this punch board is. I found a pretty yellow floral paper in the small paper pad. 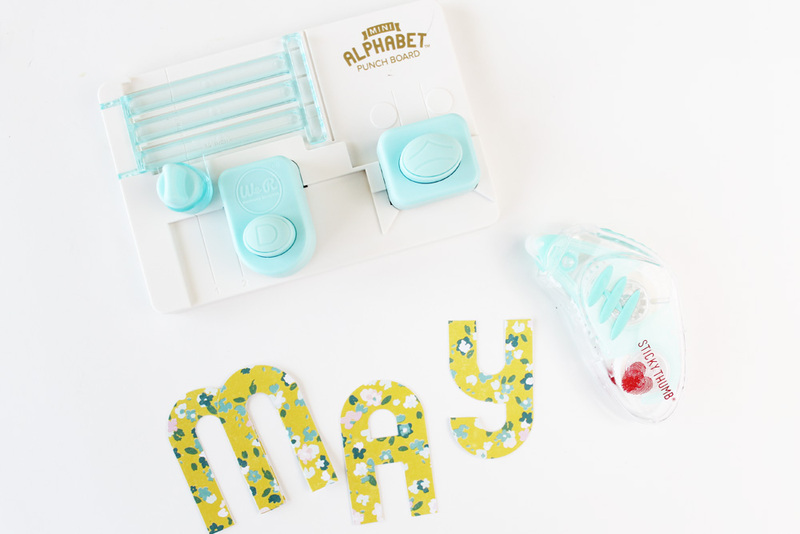 I cut the paper to size and used my mini alphabet punch board to spell out the word “May”. To create the letter M you actually attach two letter N’s together with adhesive. I attached the letters to the background page using my staple board. I used the large staples. 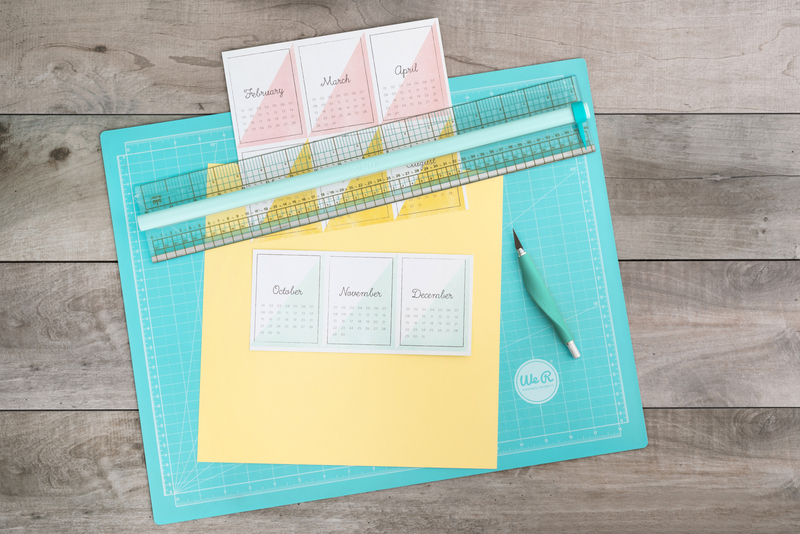 The staple board has a magnetic guide which allows you to staple anywhere on your page. Then, I found a little calendar page in the small paper pad. 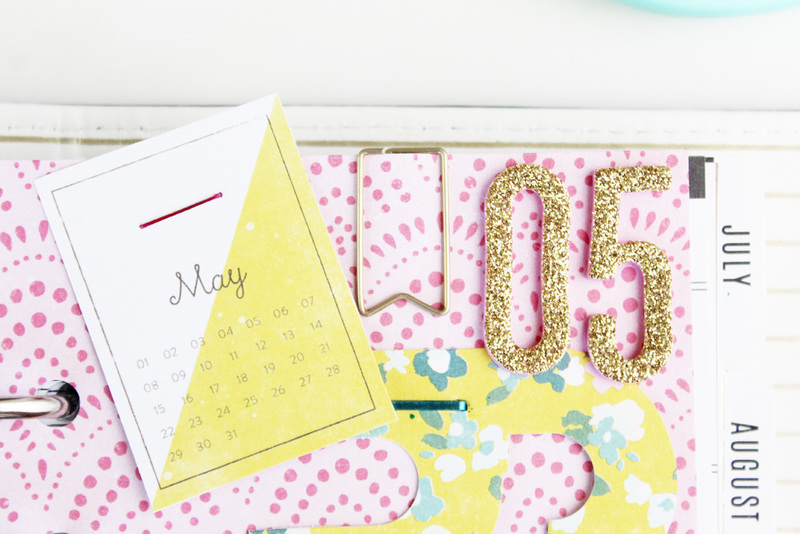 I cut out the May calendar and attached it to my dashboard with the medium size pink staples. To add a little something extra to it, I added some gold Thickers with the numbers 05 for the month of May. Now, I have a pretty dashboard every time I open my planner. 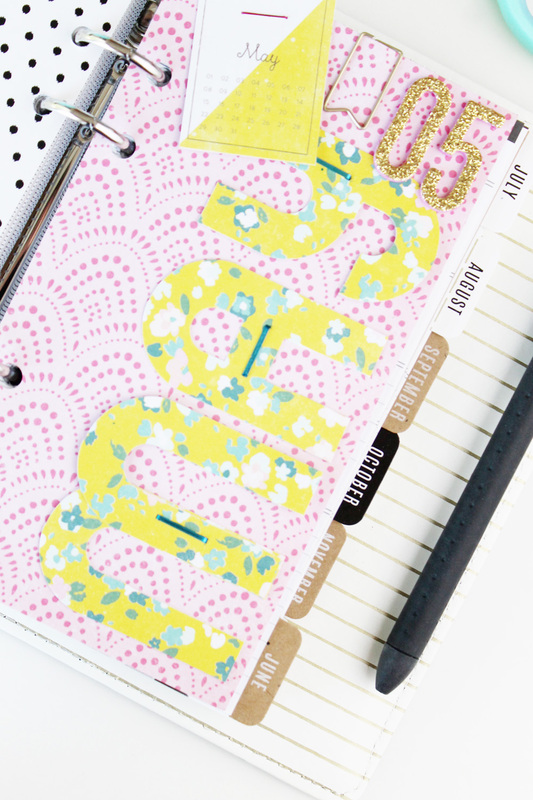 How do you like to decorate your planner?